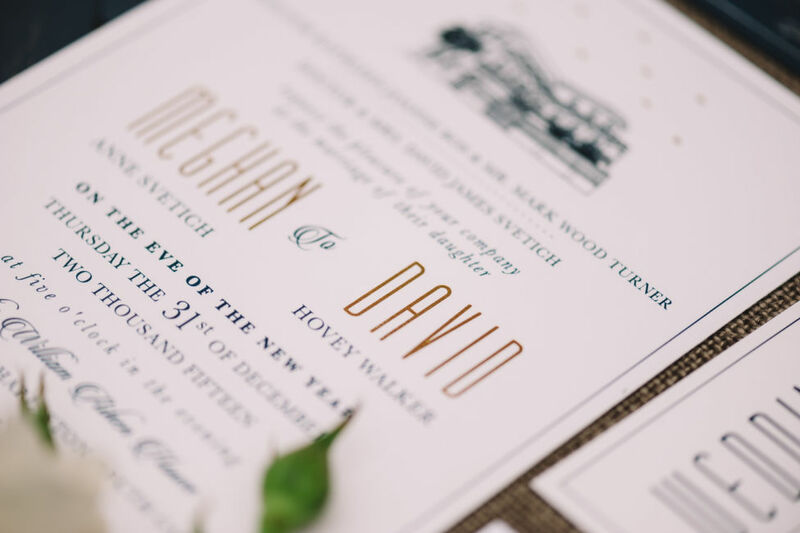 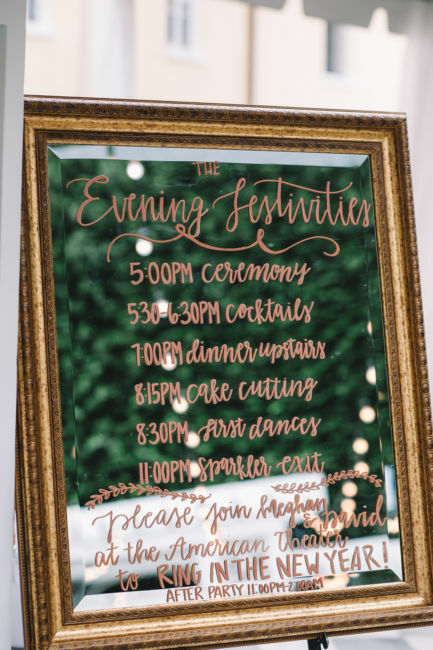 “On the Eve of the New Year…” (as the invitation read) Meghan and David began their life as husband and wife and celebrated both events with family and friends! 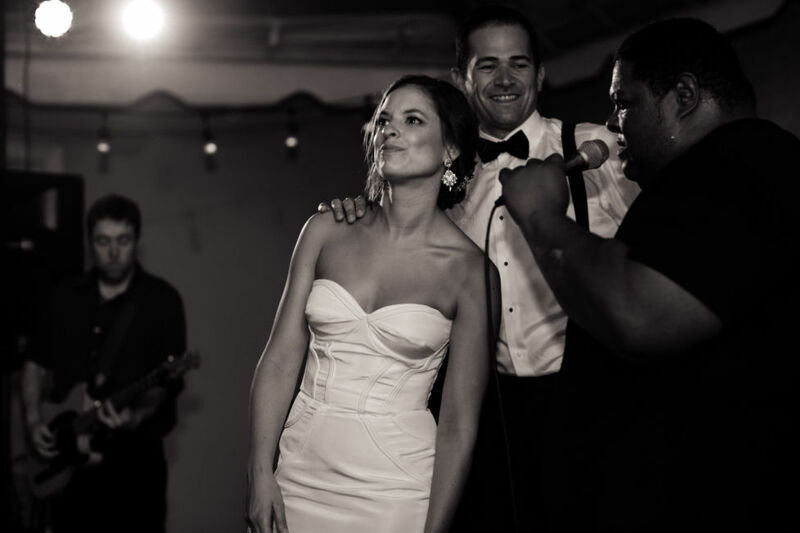 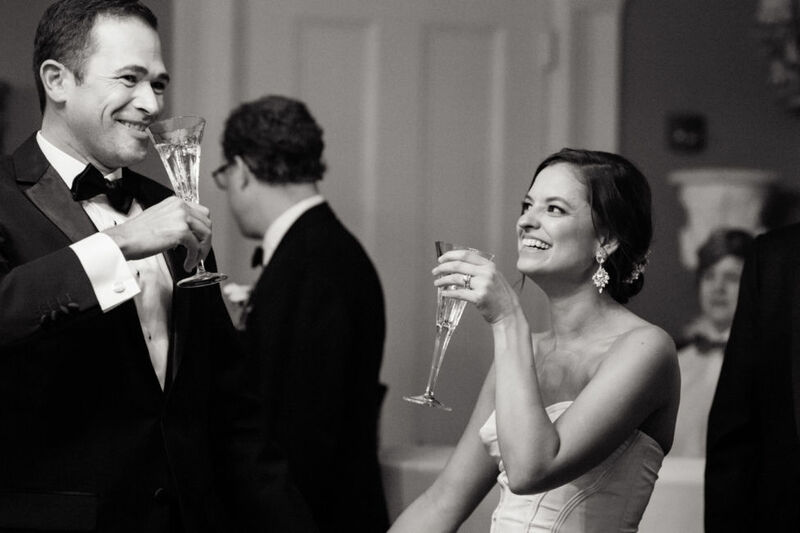 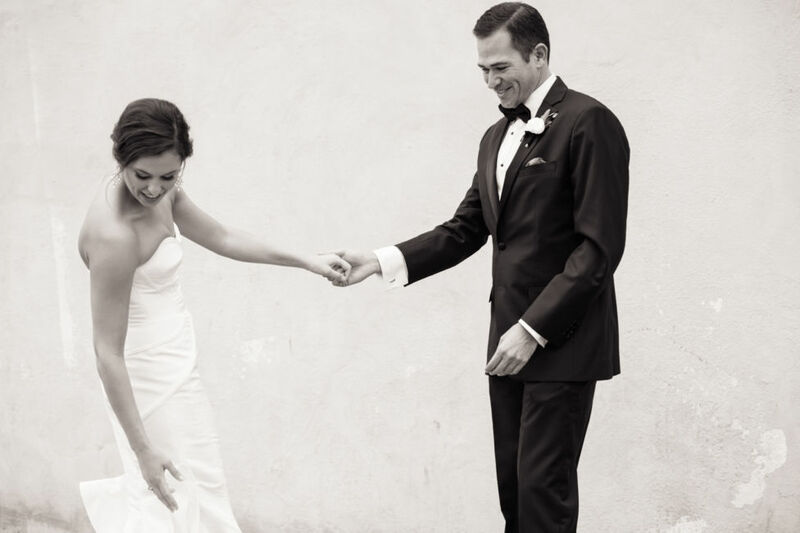 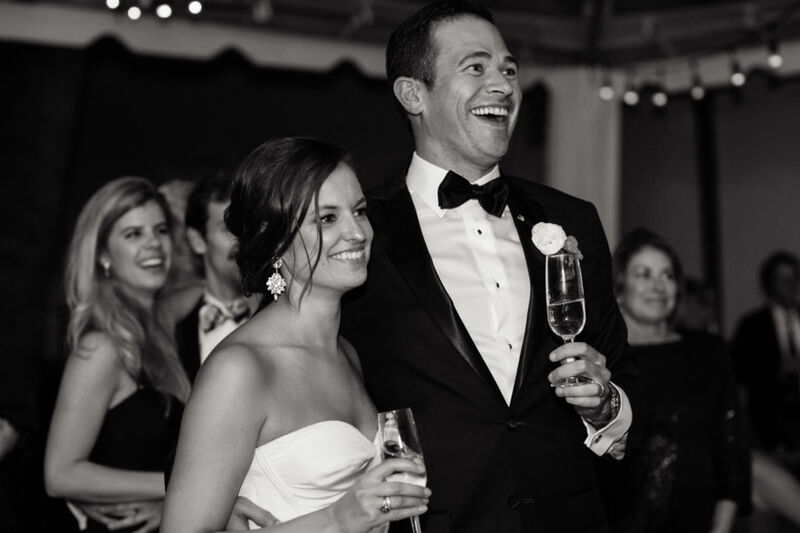 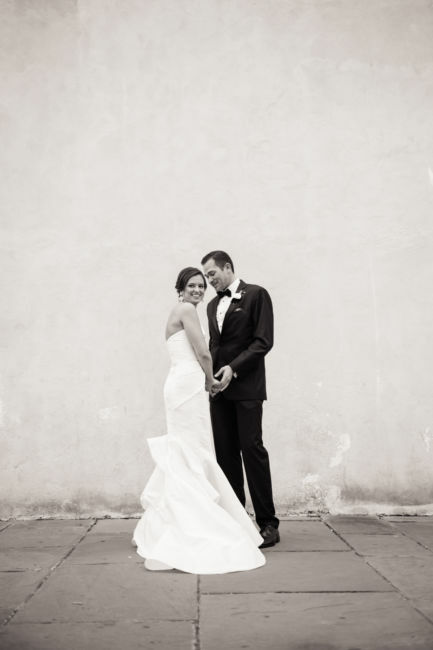 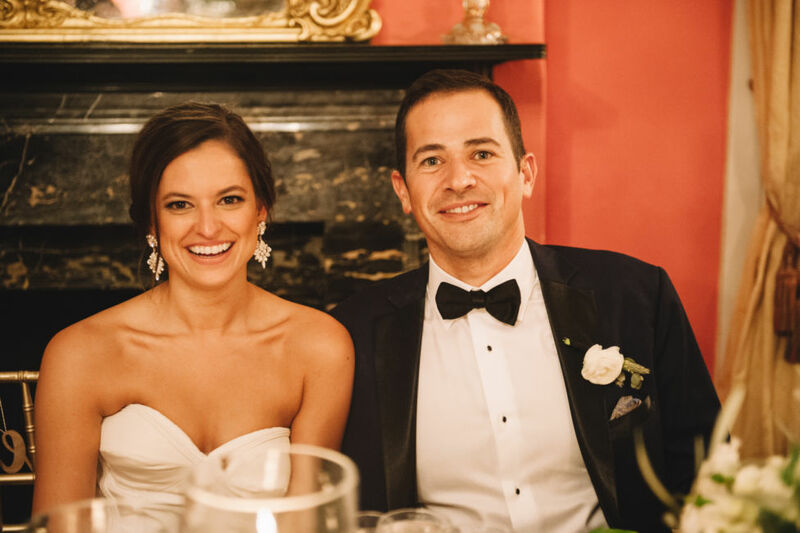 This fabulous couple actually met on December 30th, 2011 in New York City; Meghan lived in the East Village at the time and David flew in from Newport Beach to visit some friends. 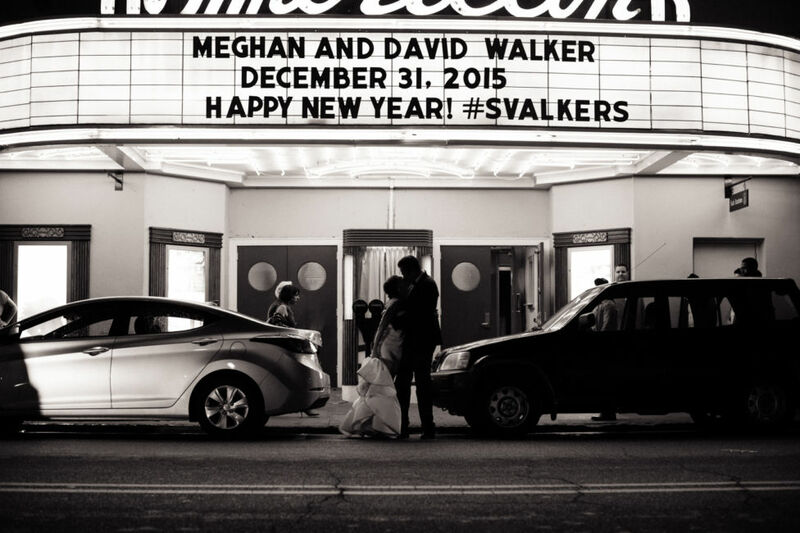 David spotted Meghan immediately at a local watering hole that night and the two got lost in conversation. 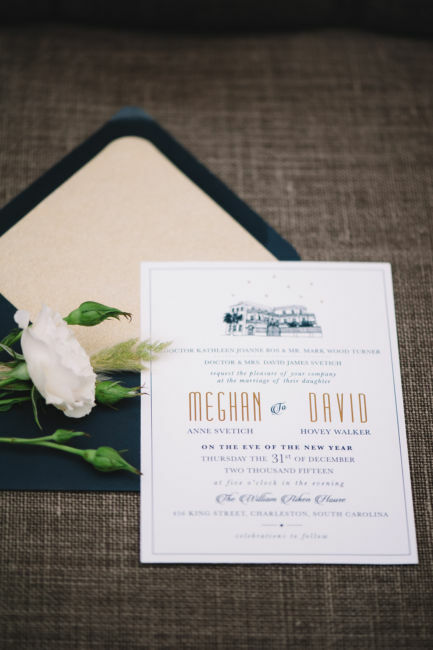 Fast forward 10 months with hours of phone calls and cross-country flights Meghan moved to Southern California to start a life with David. 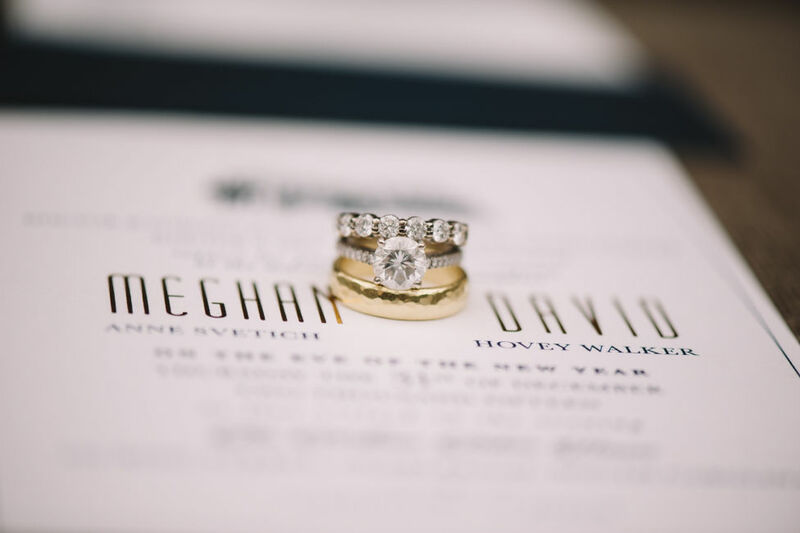 David proposed at the end of October, 2014 in Sayulita, Mexico during an epic 10 days of travel. 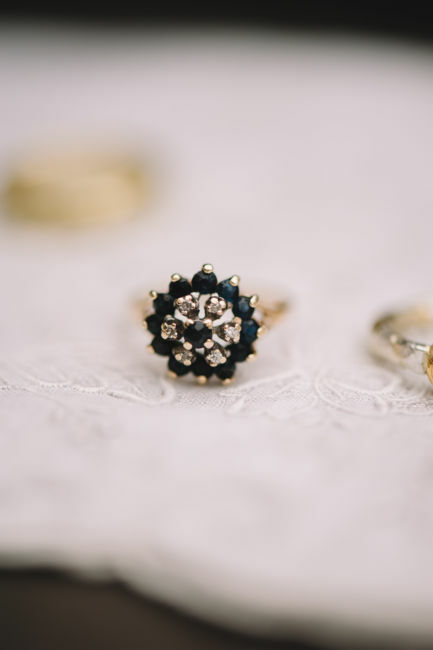 Of course she said yes!! 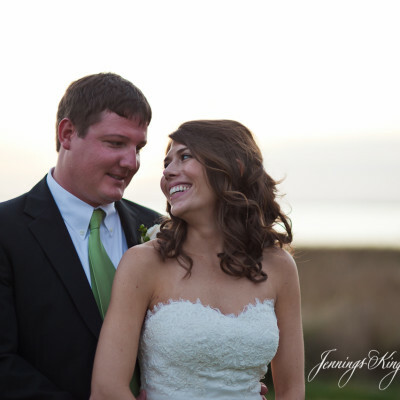 The rest of the weekend was spent planning their future together. 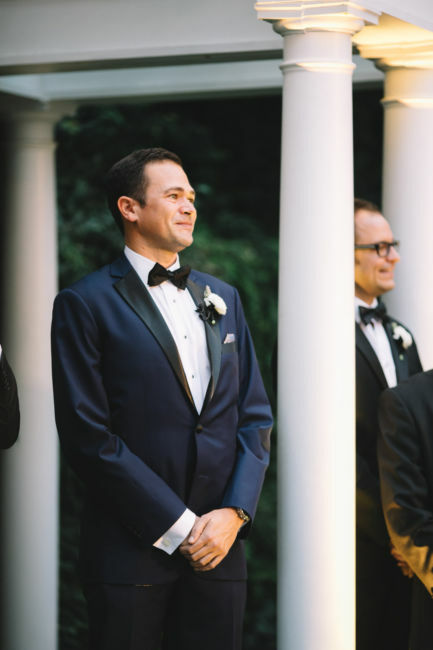 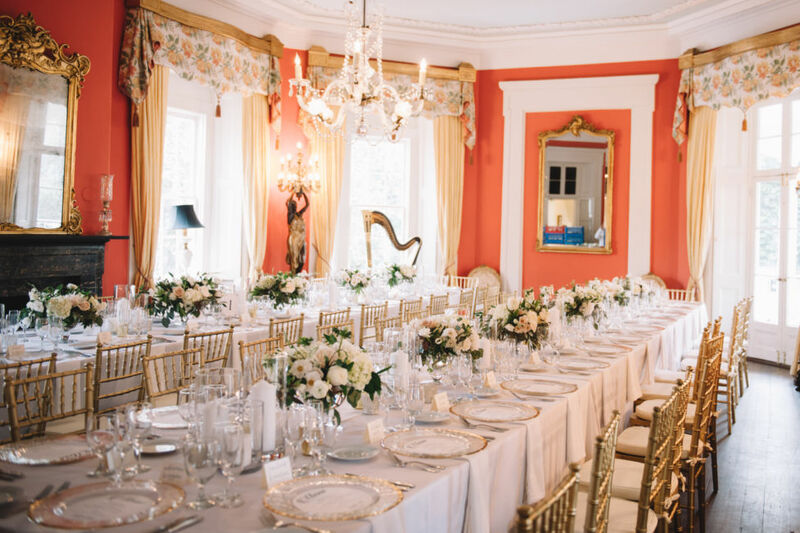 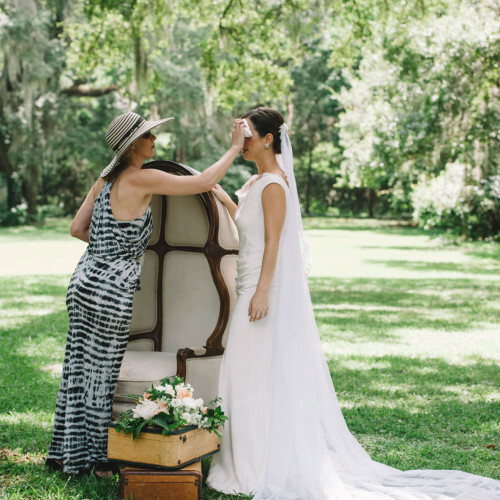 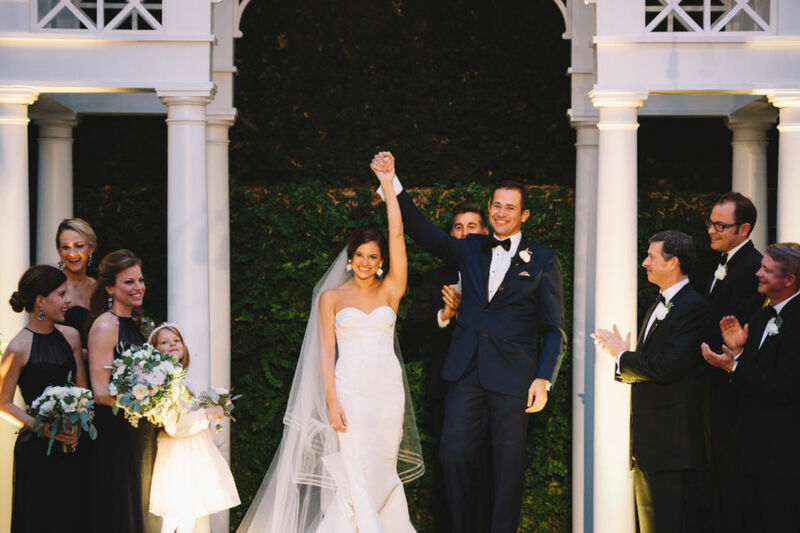 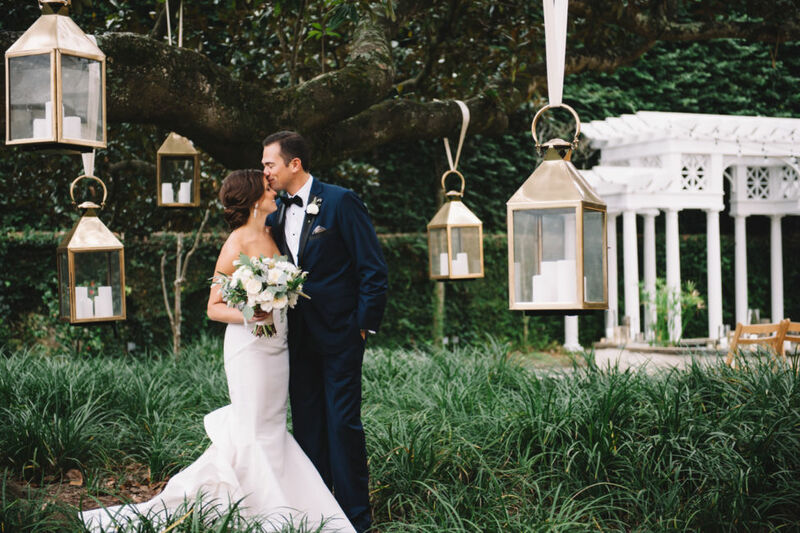 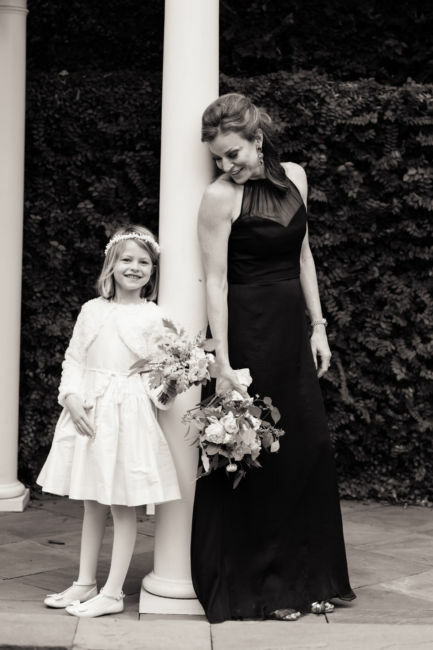 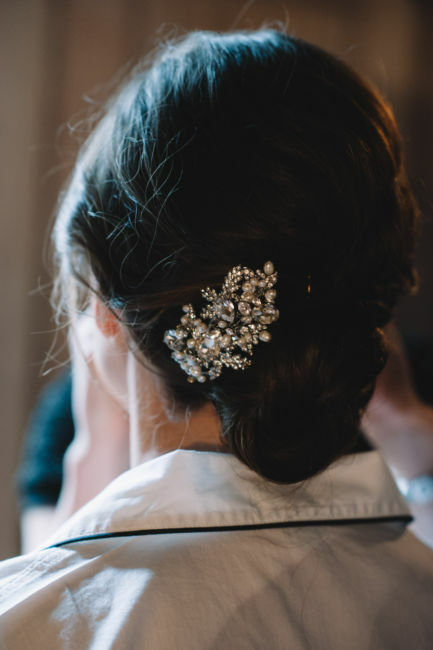 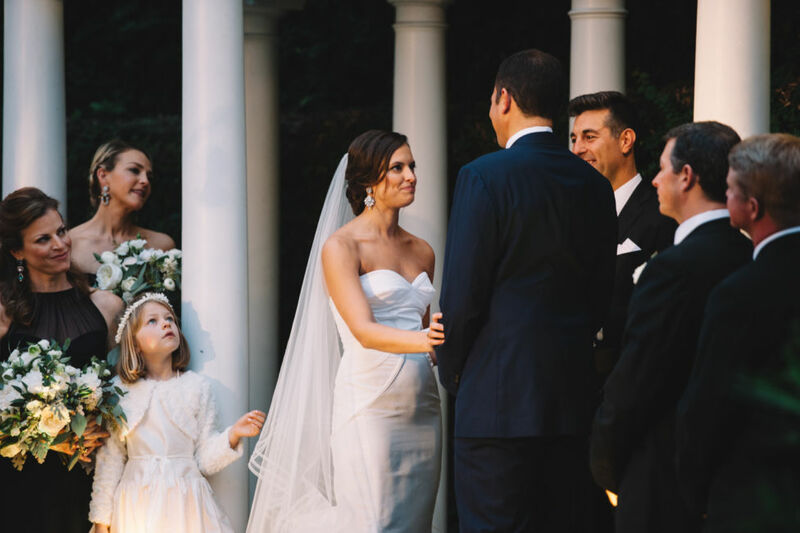 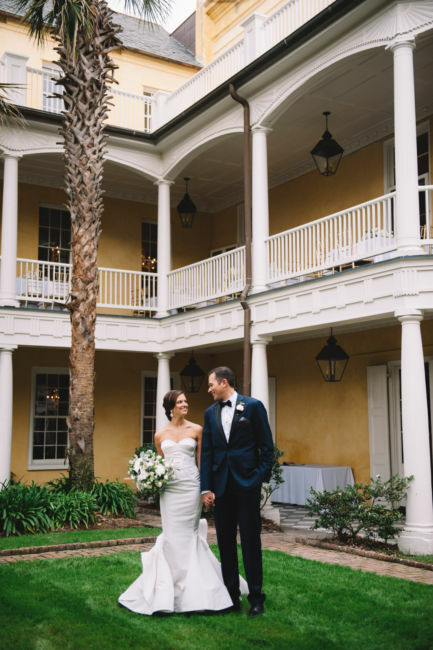 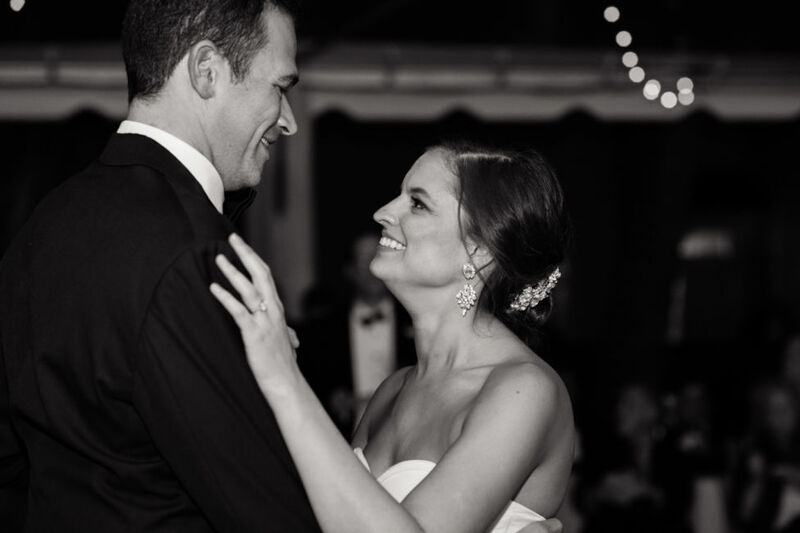 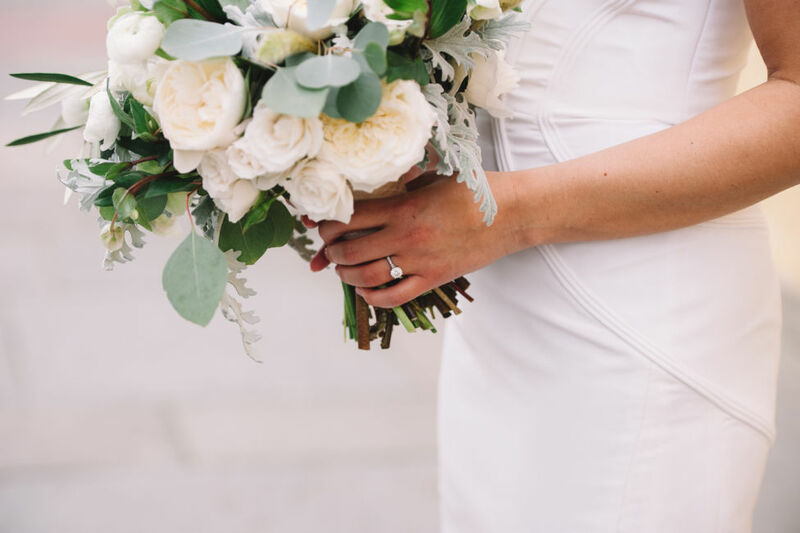 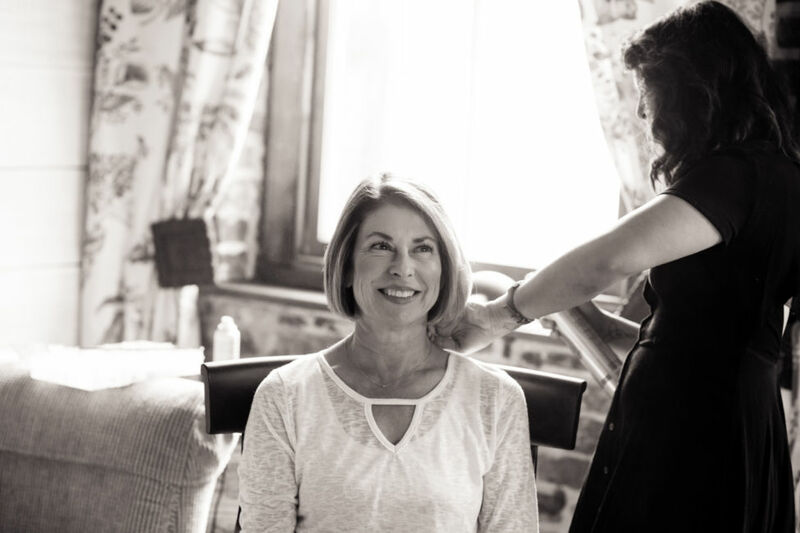 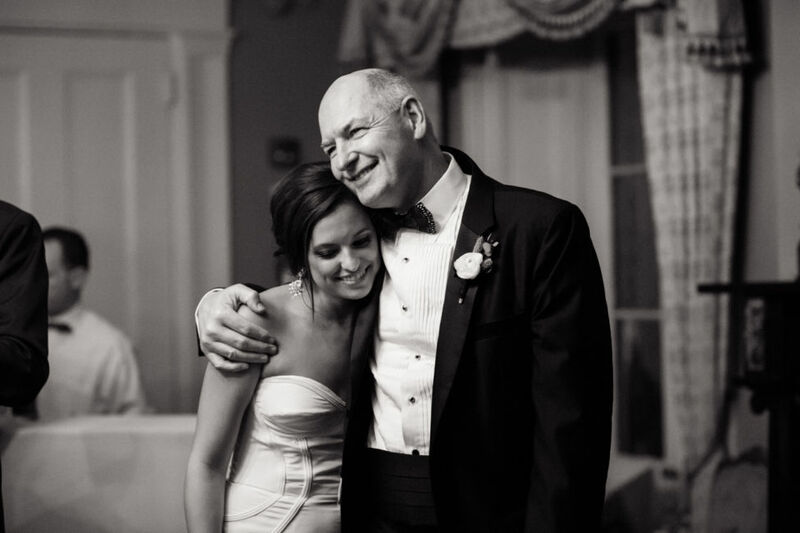 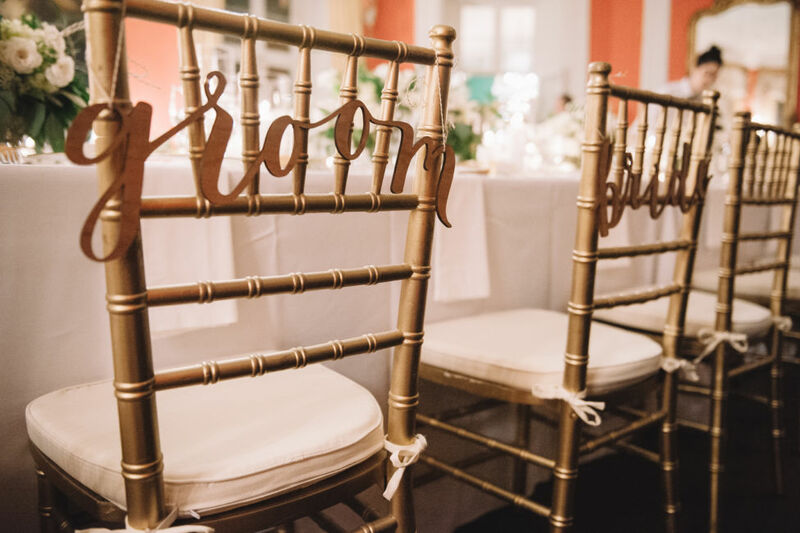 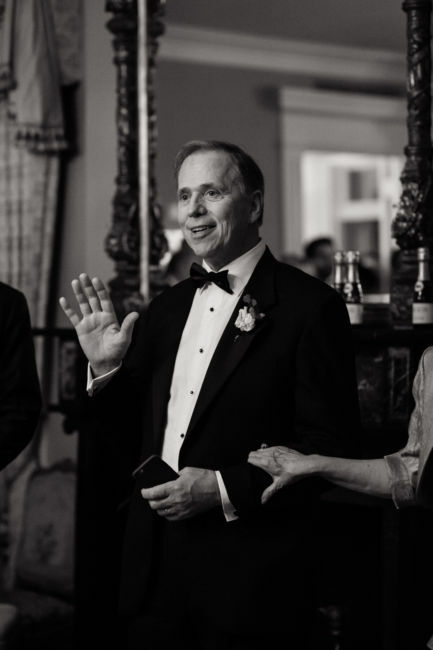 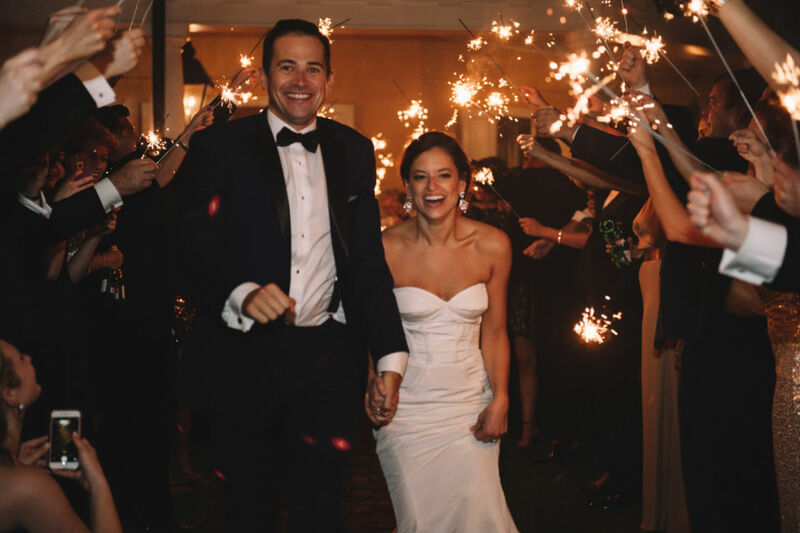 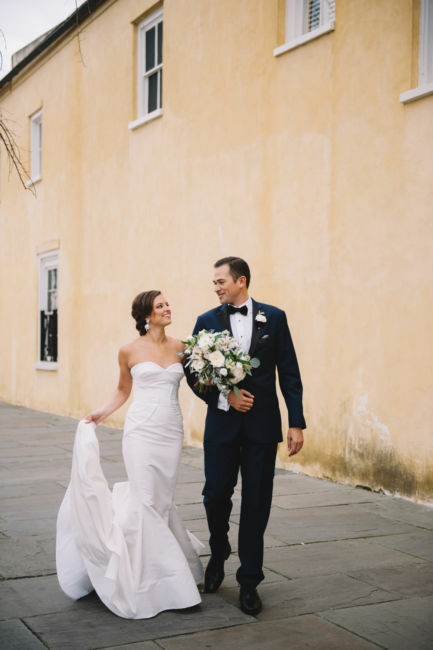 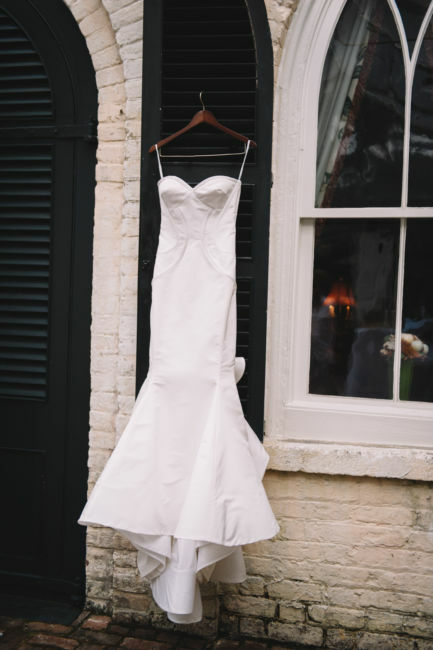 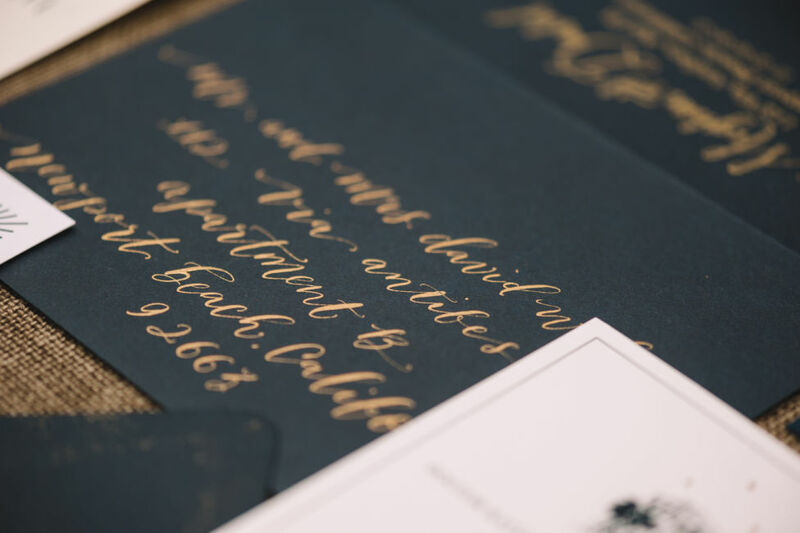 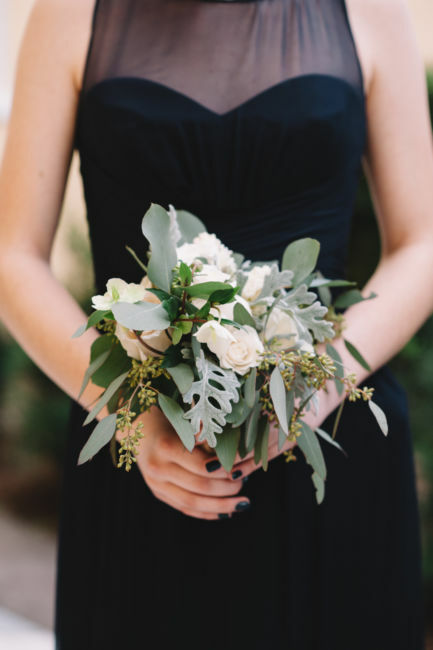 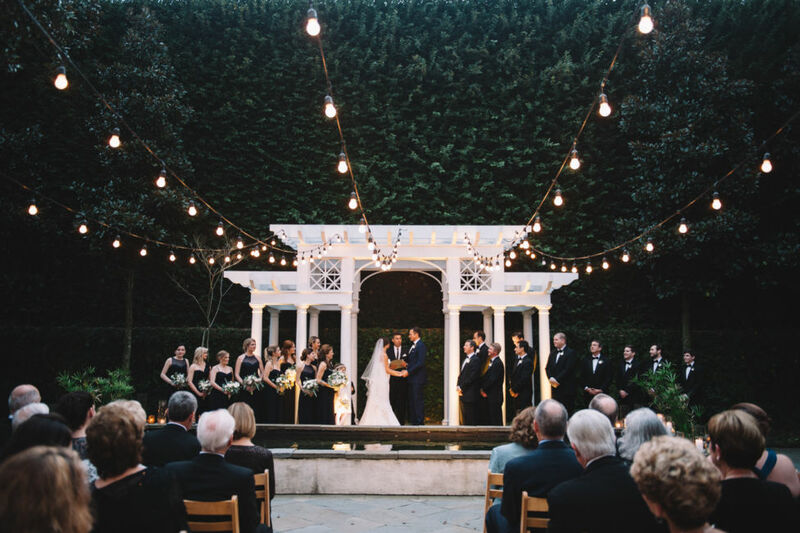 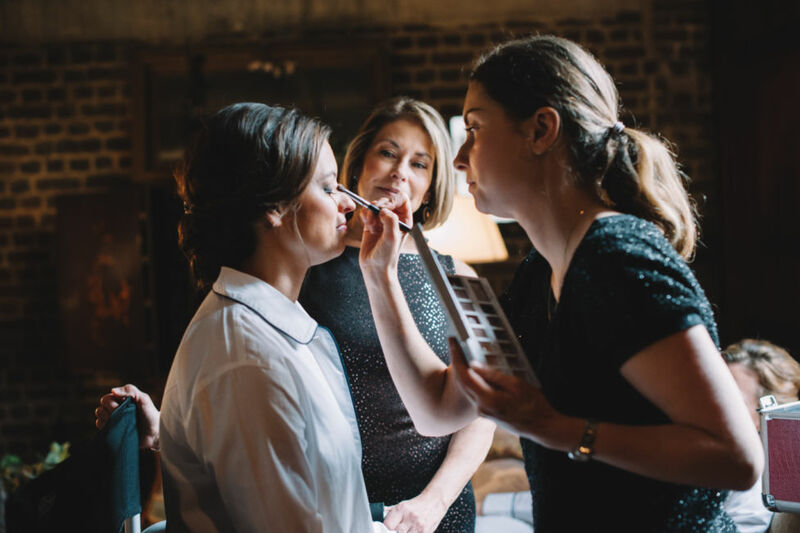 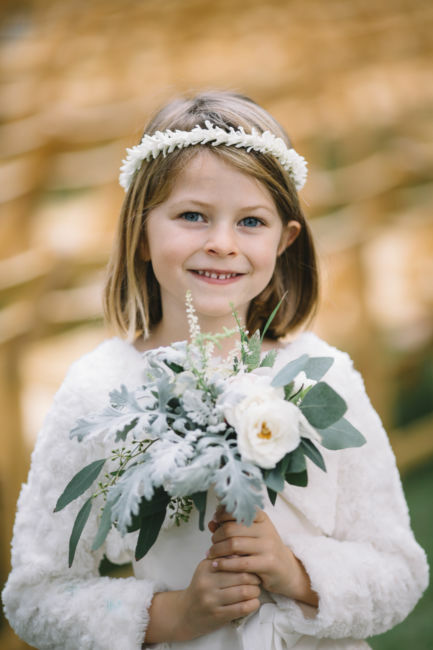 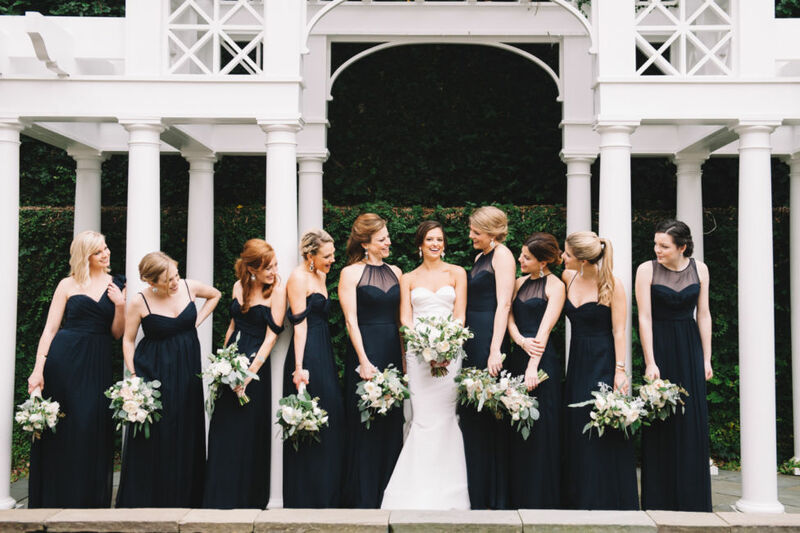 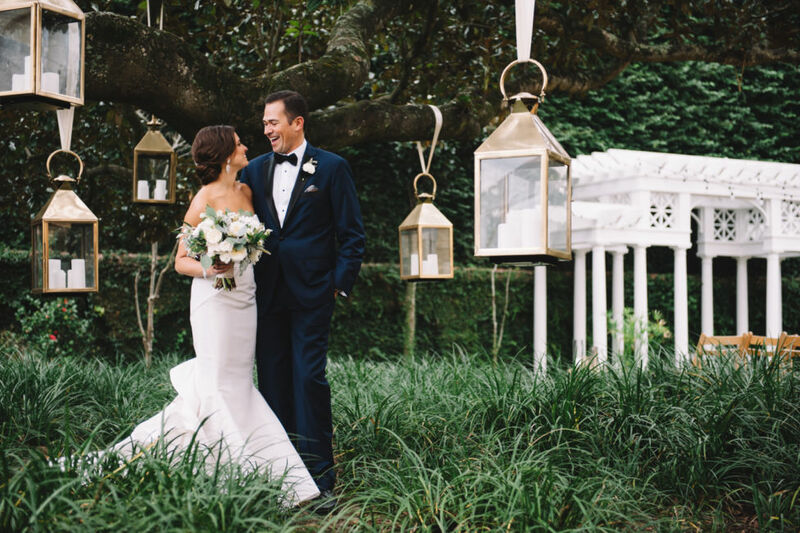 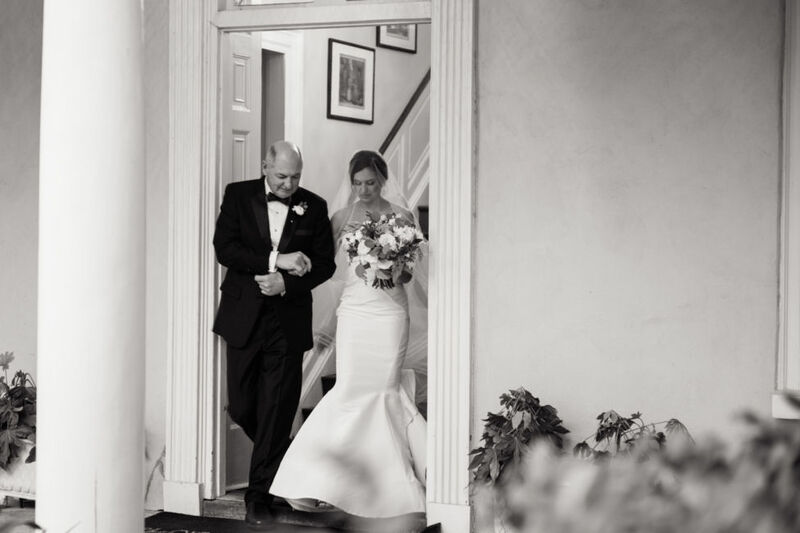 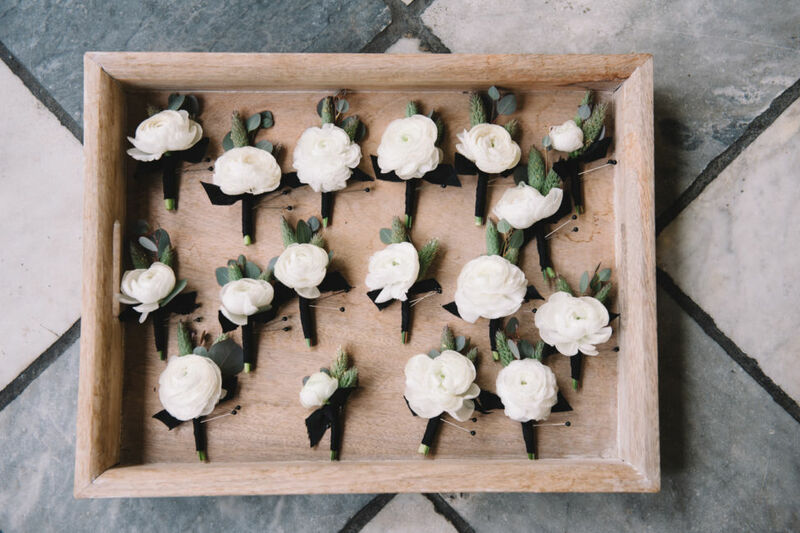 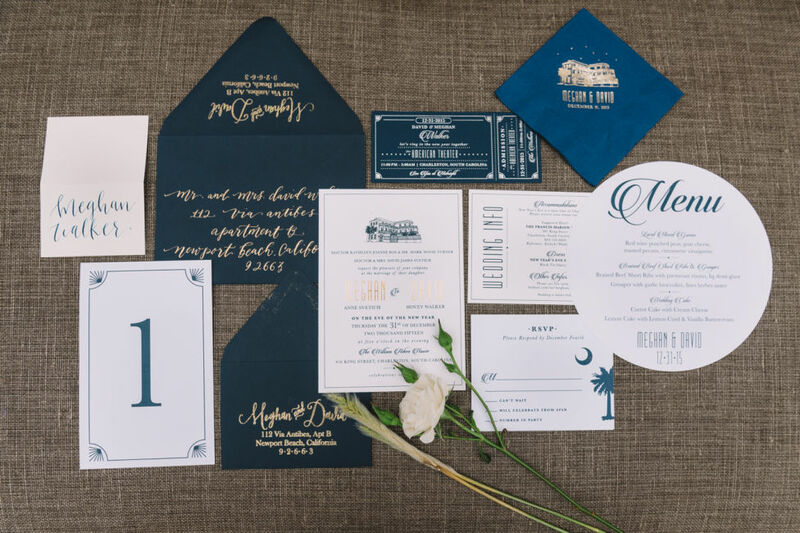 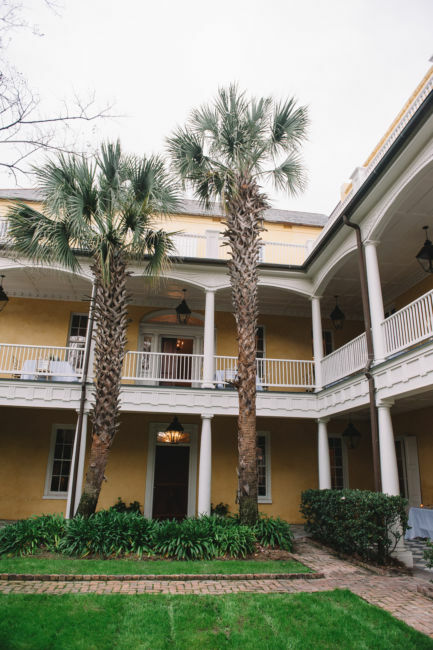 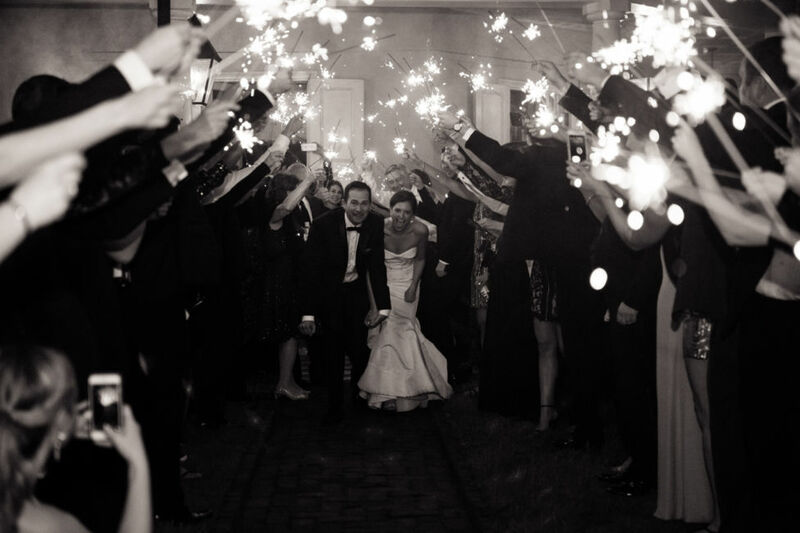 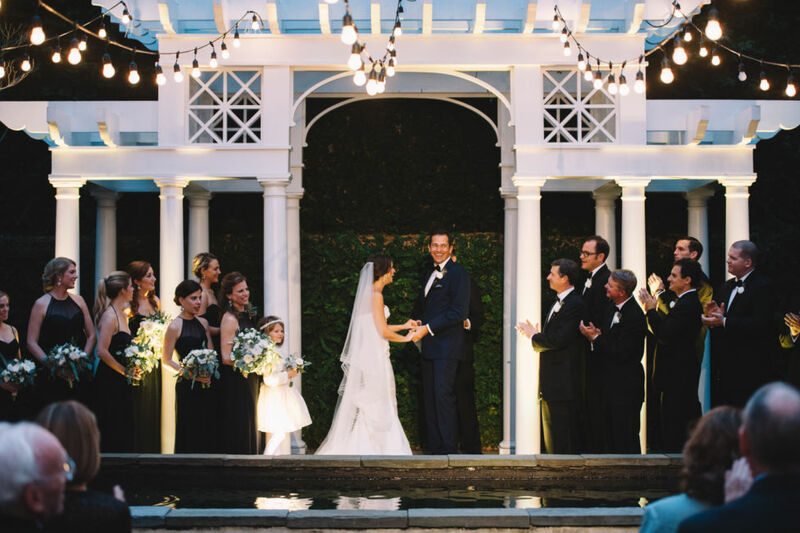 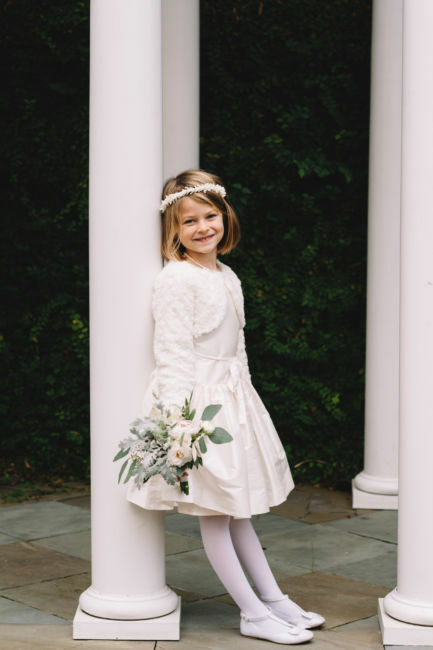 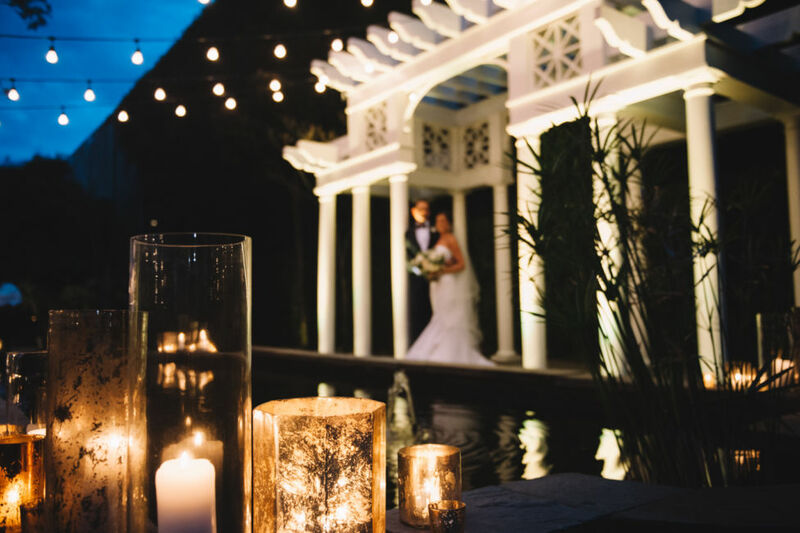 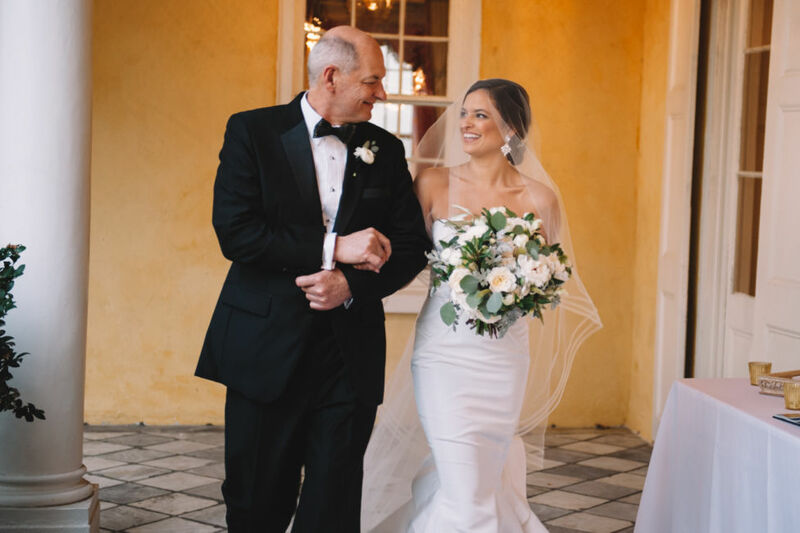 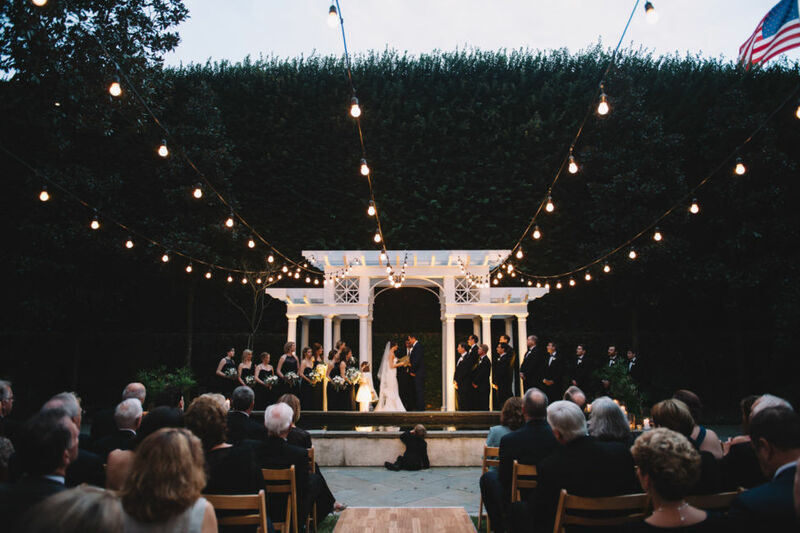 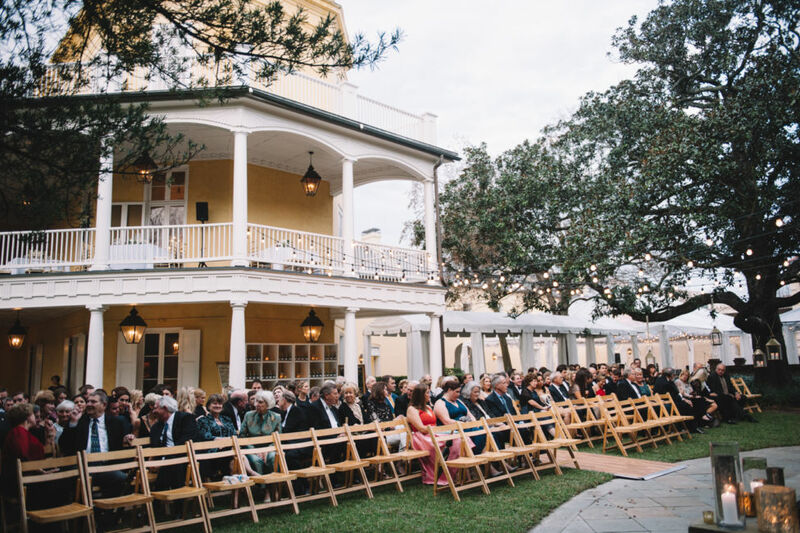 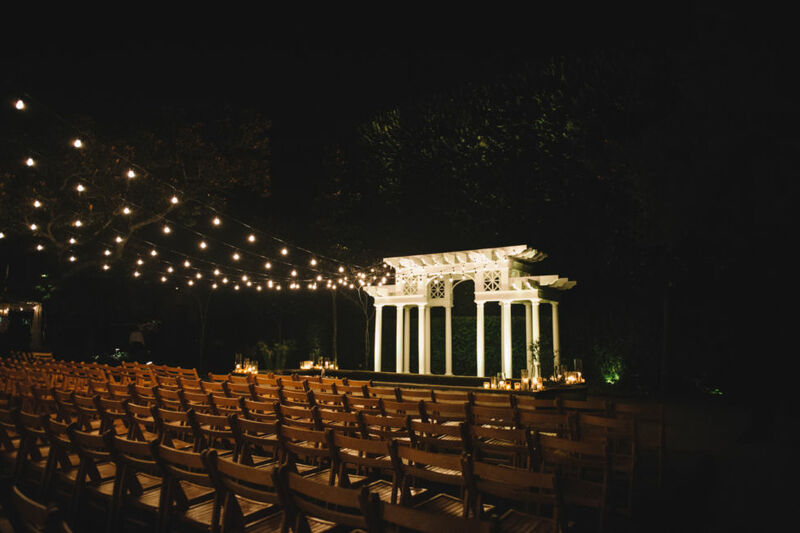 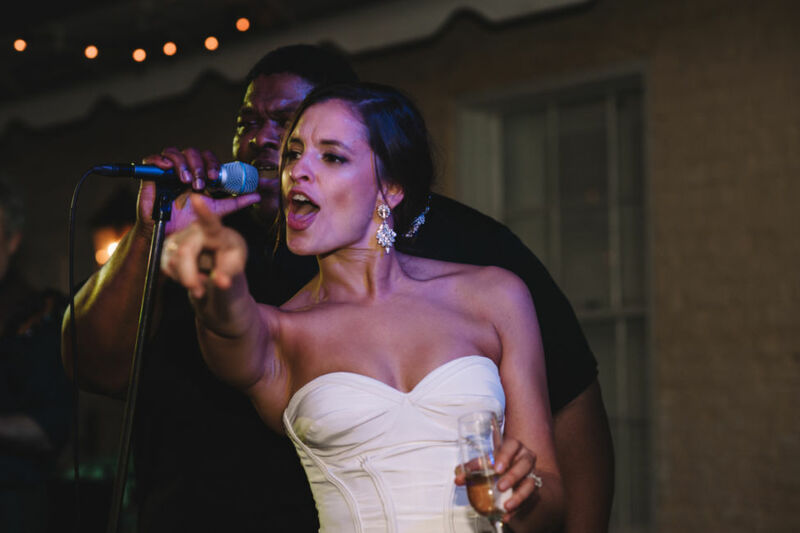 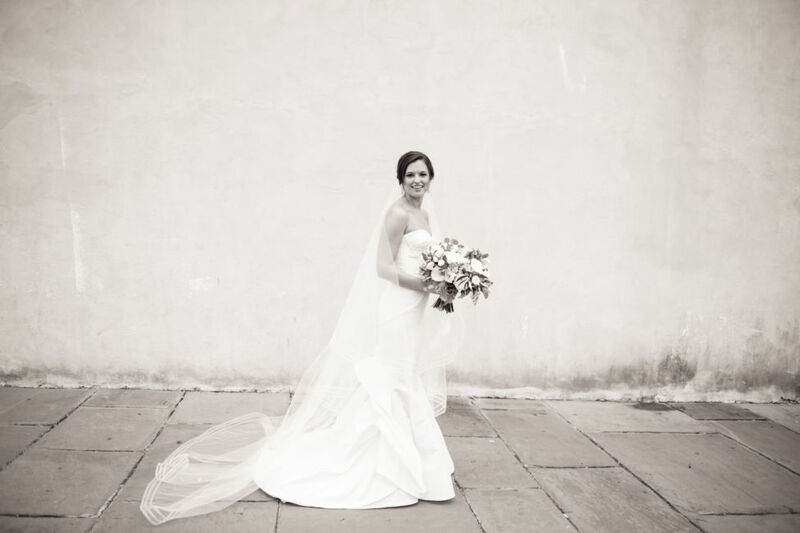 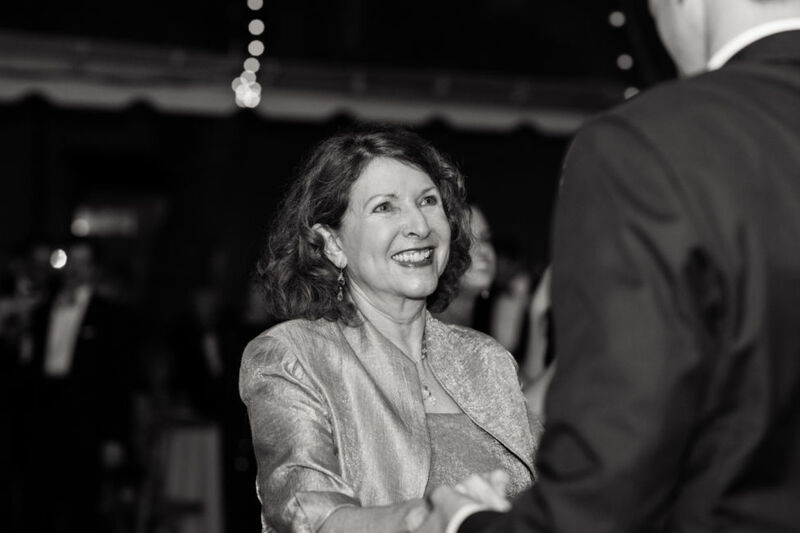 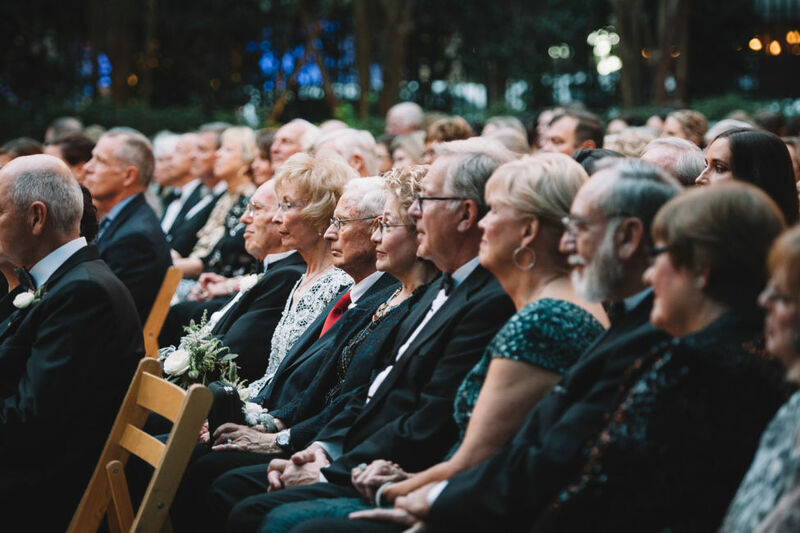 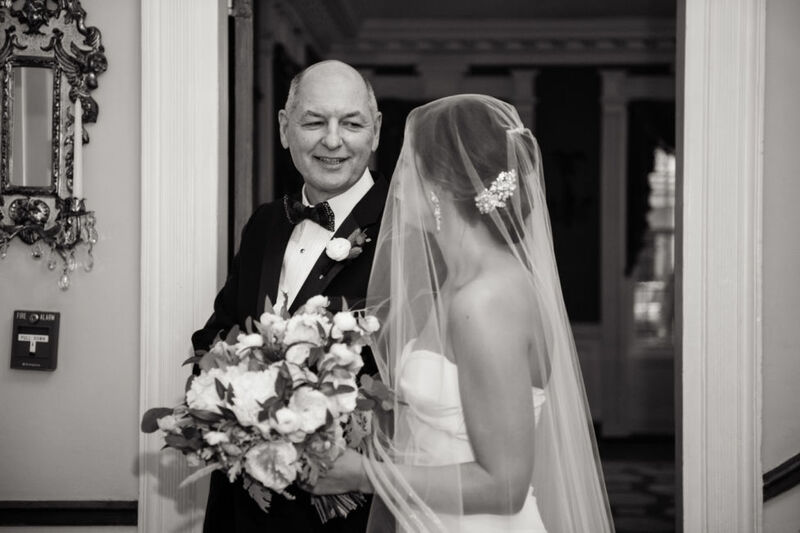 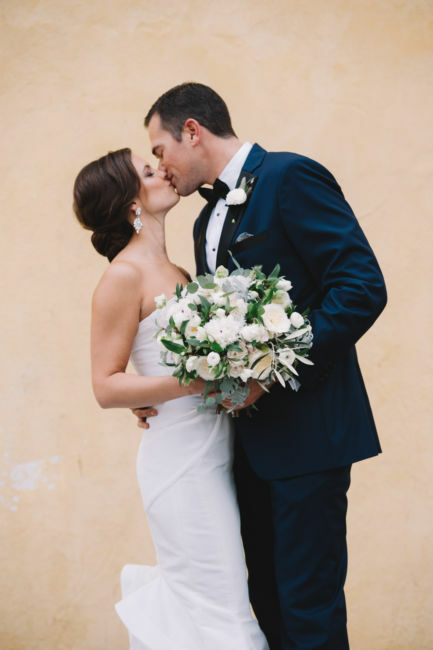 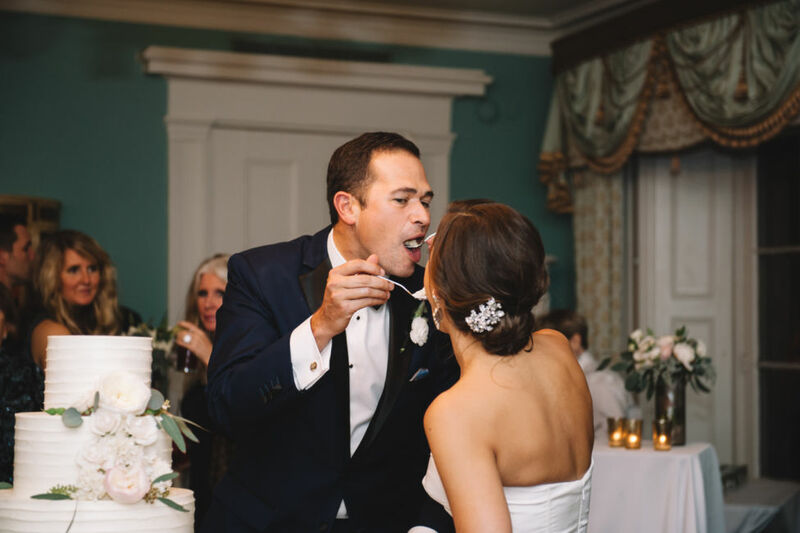 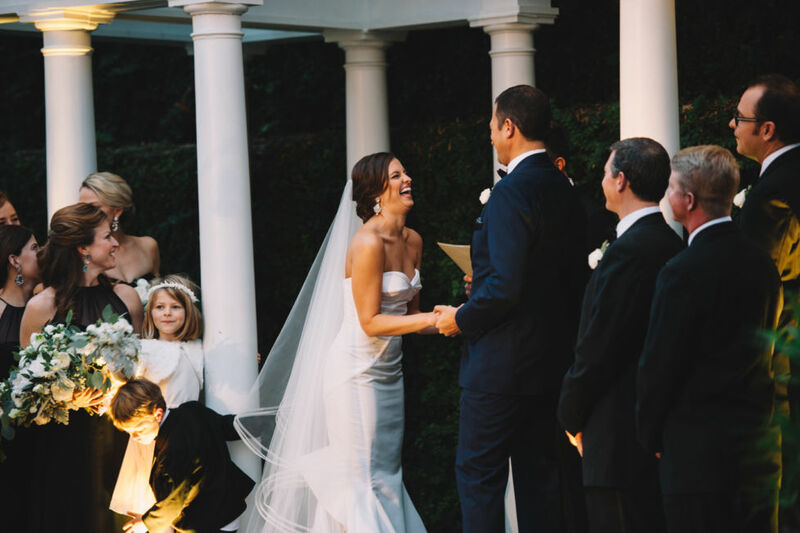 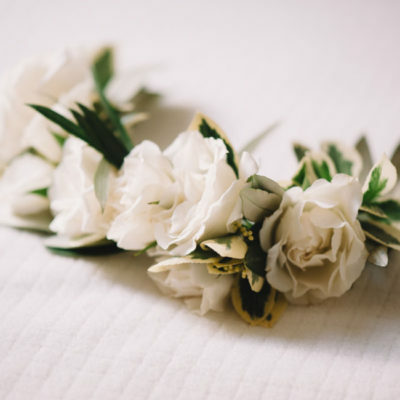 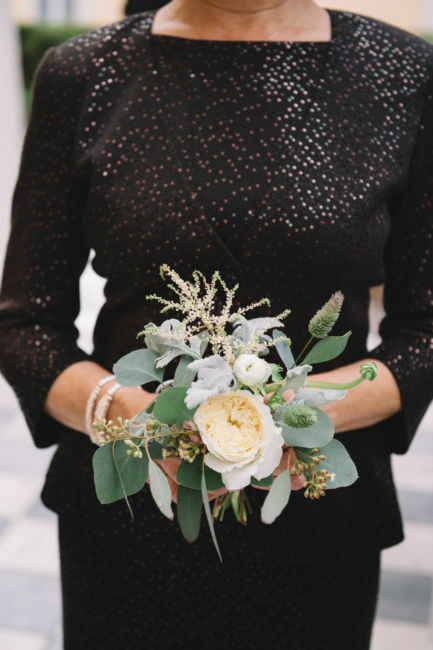 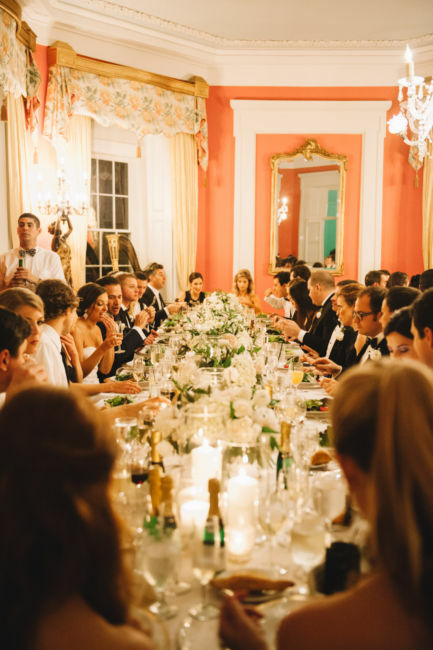 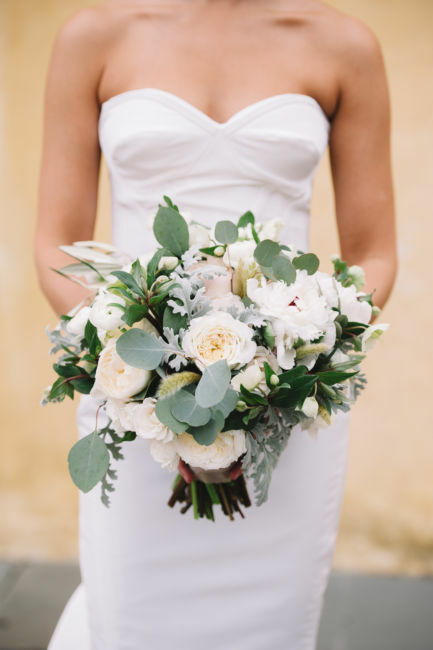 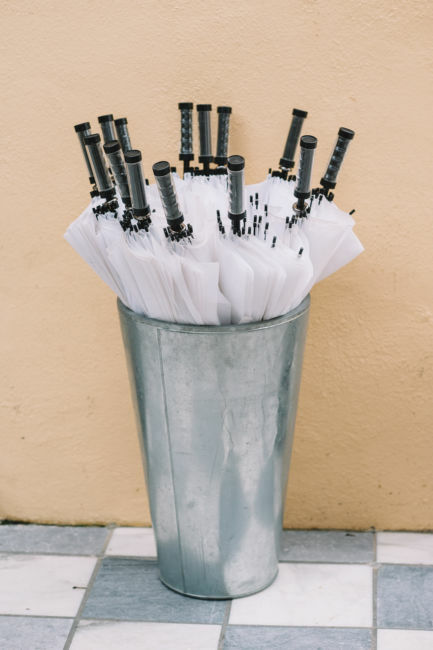 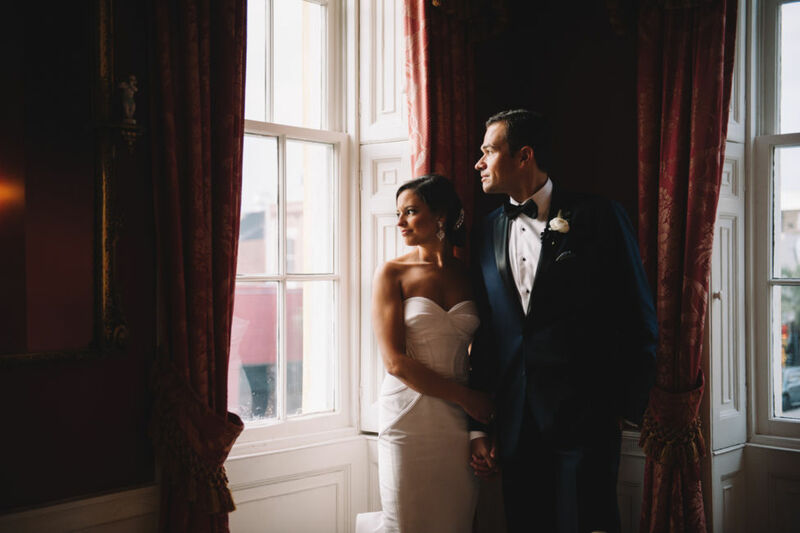 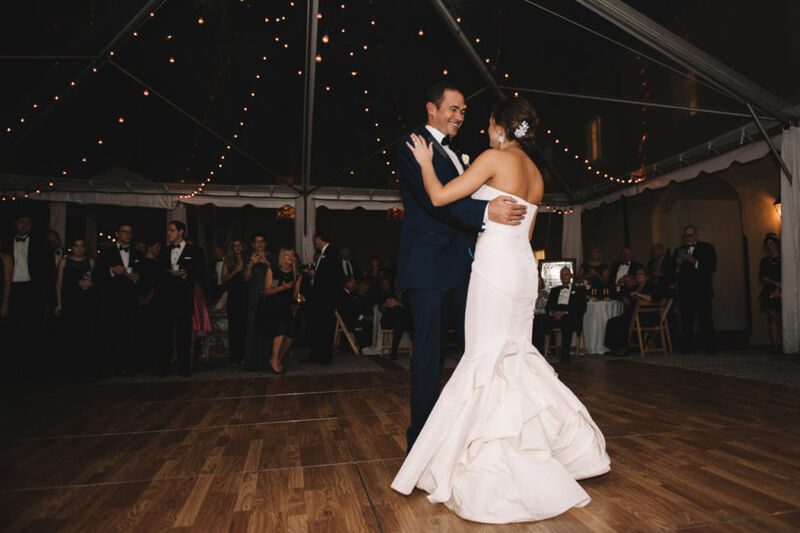 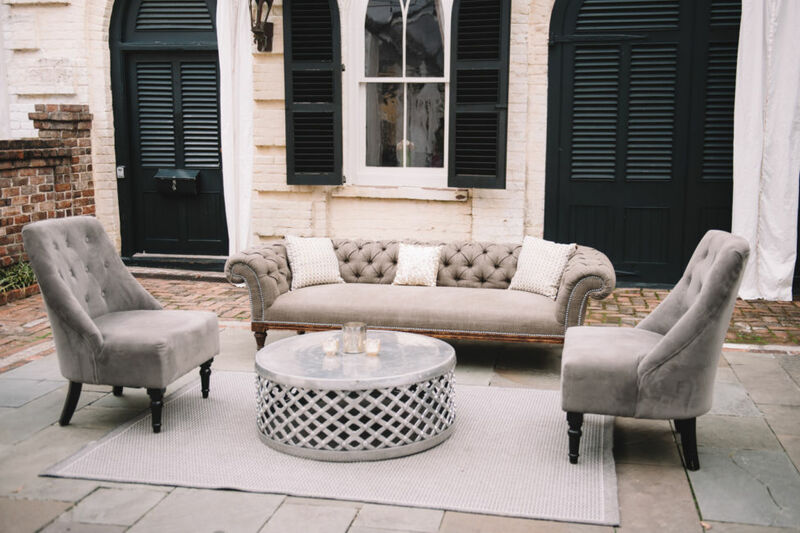 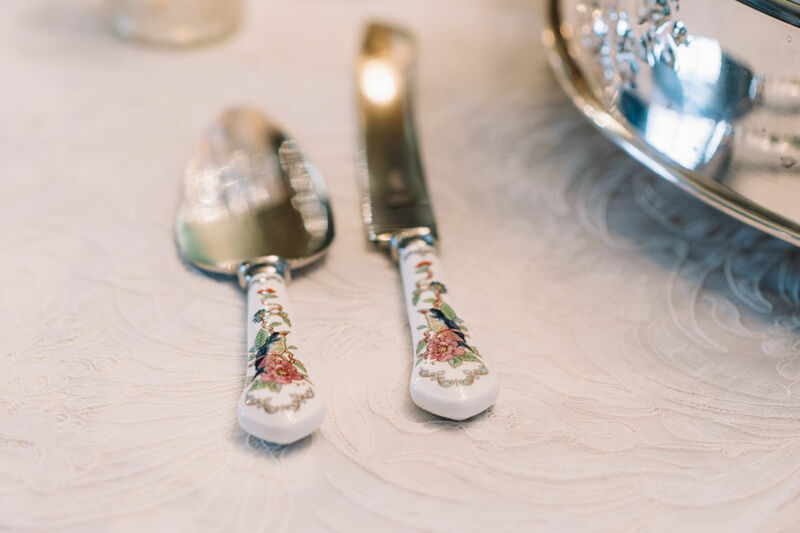 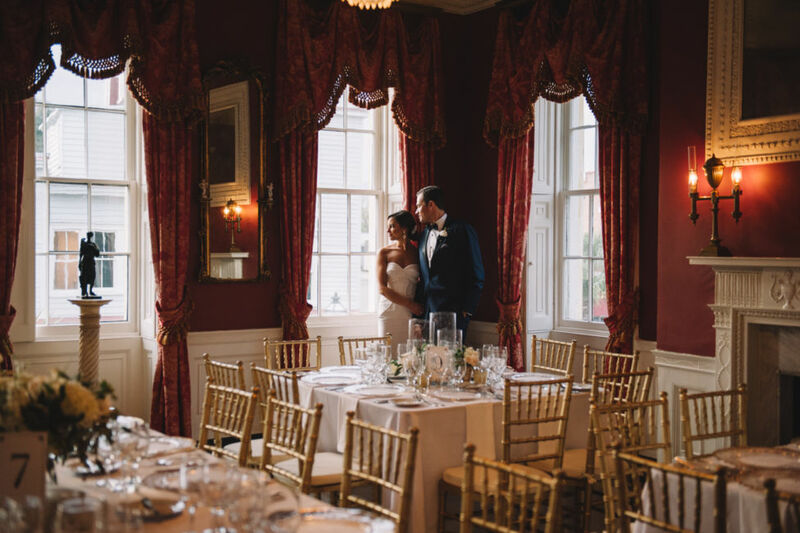 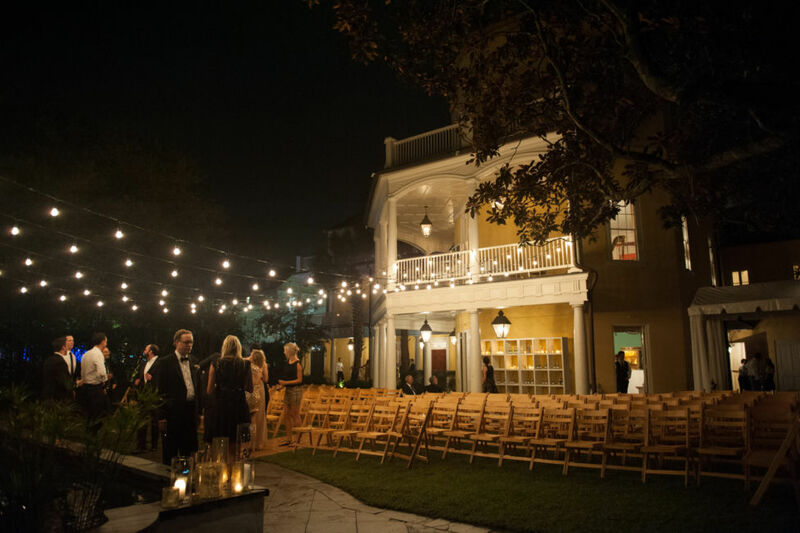 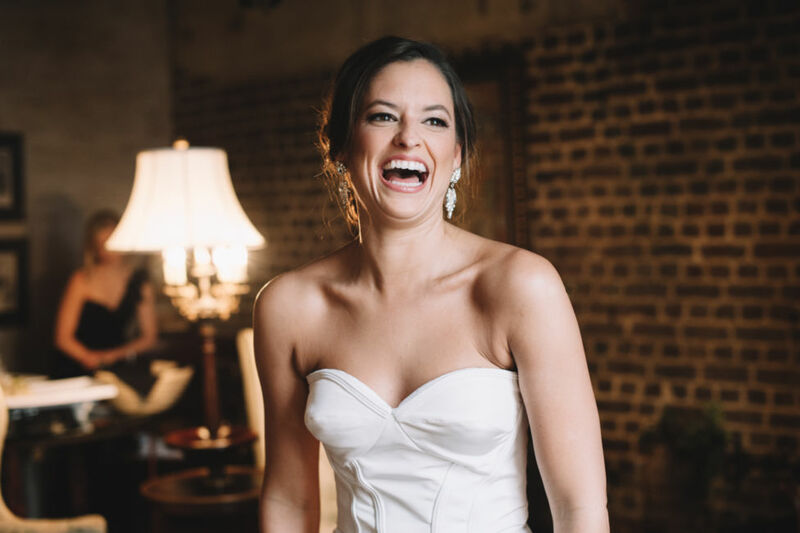 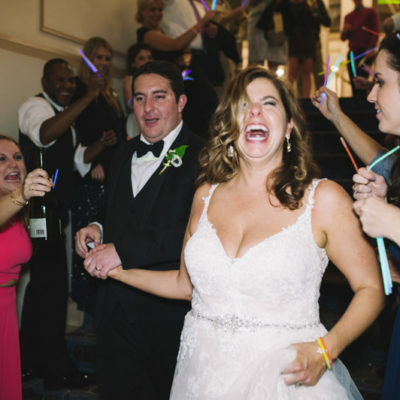 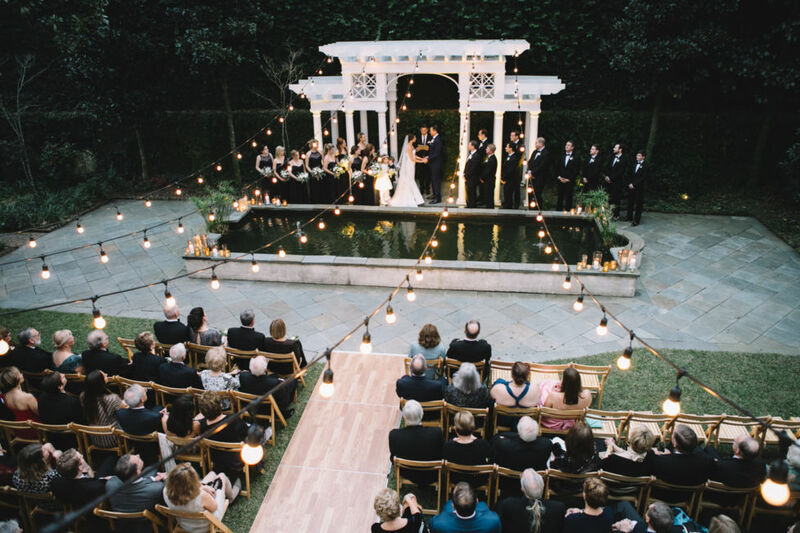 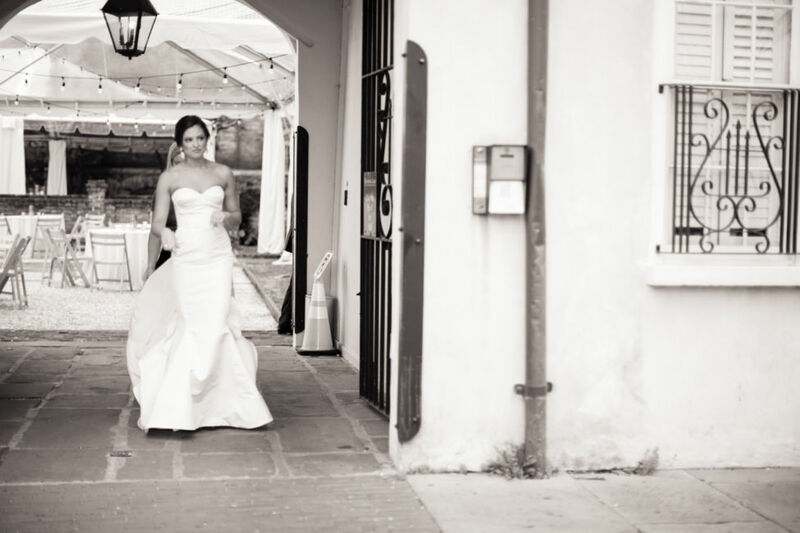 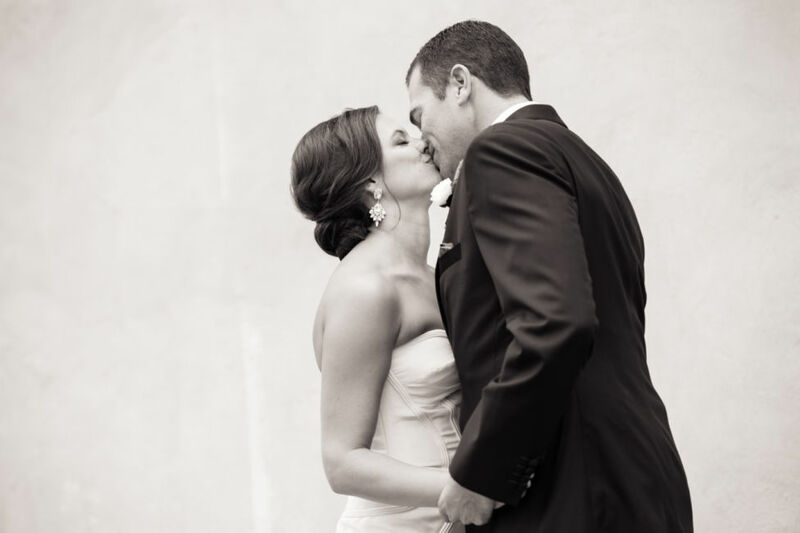 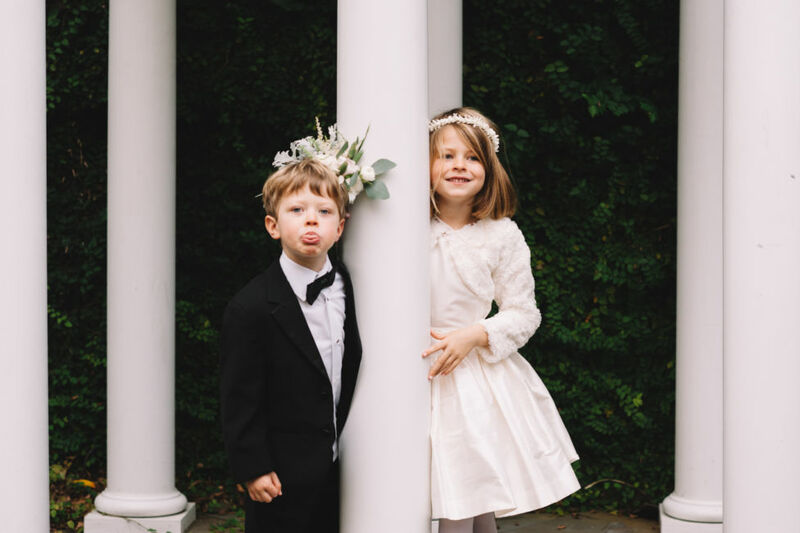 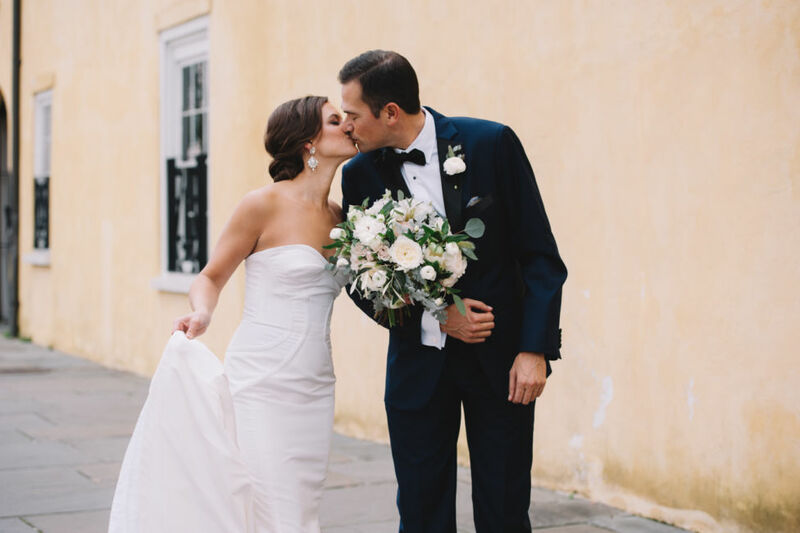 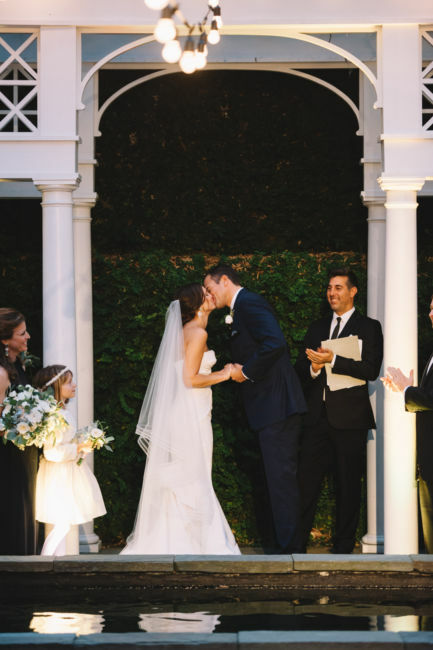 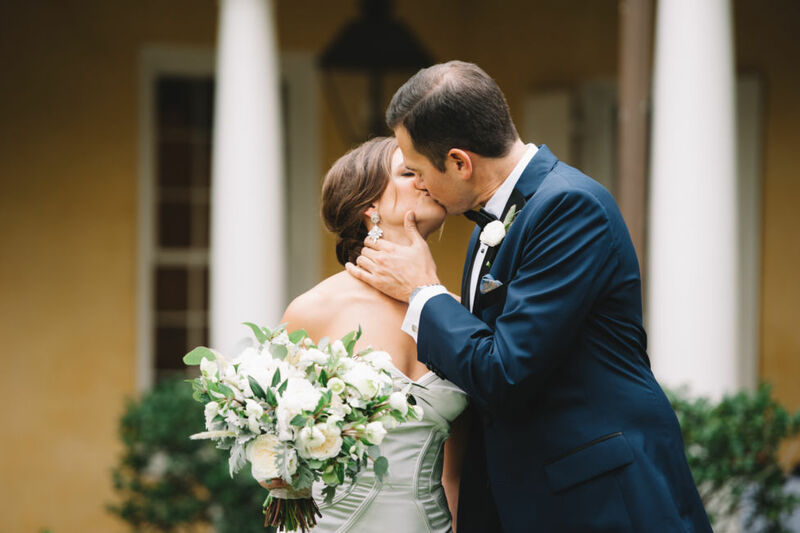 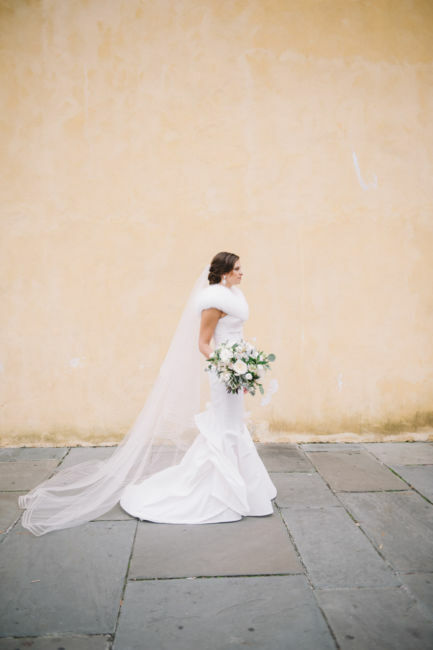 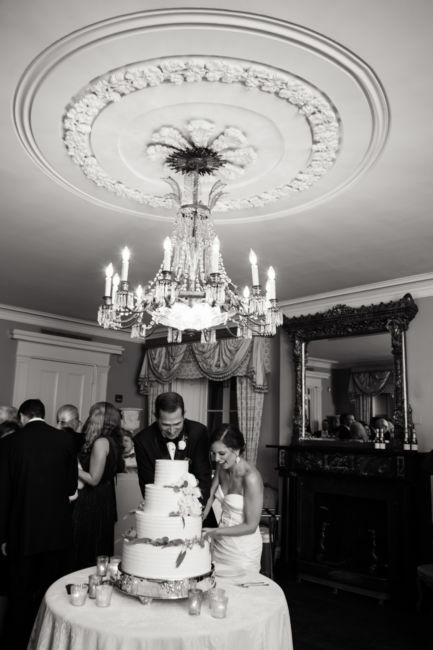 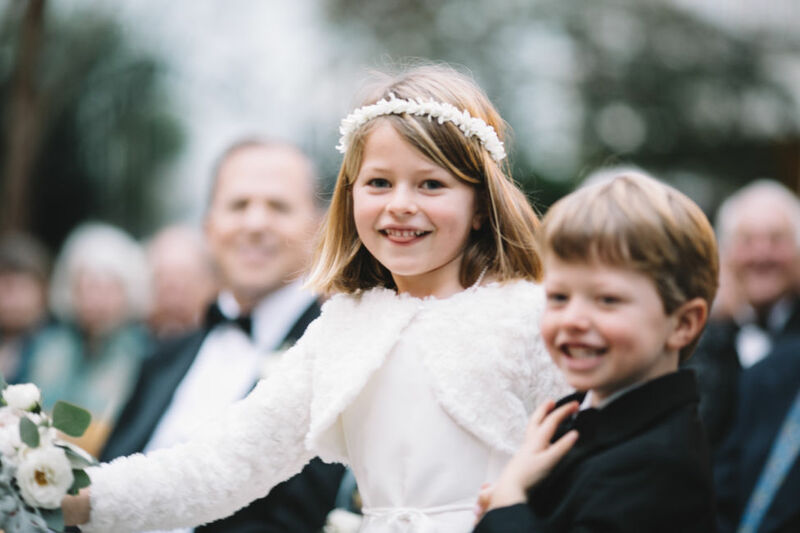 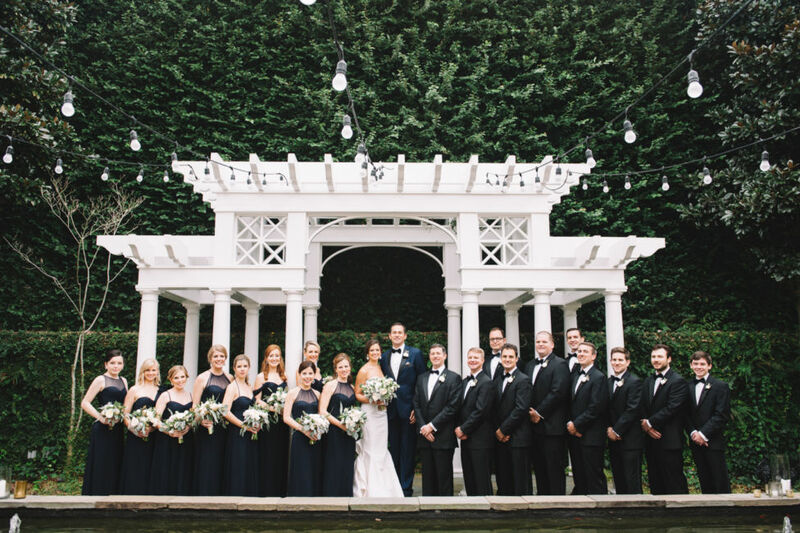 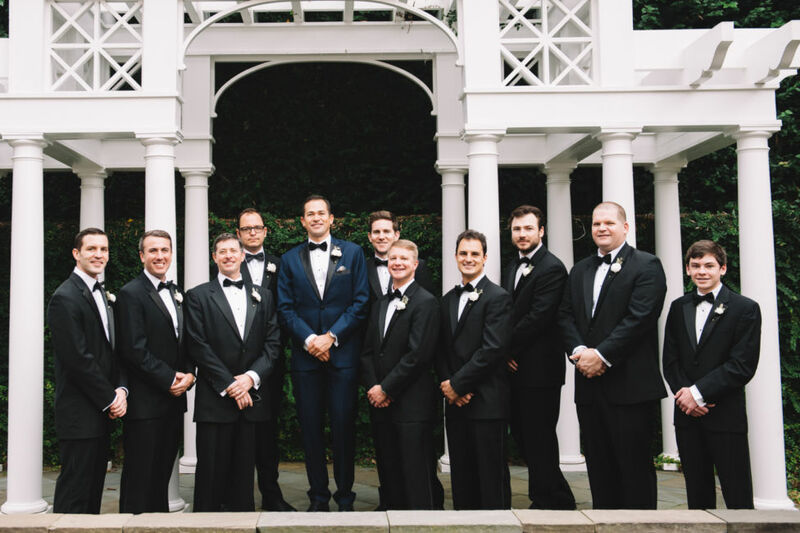 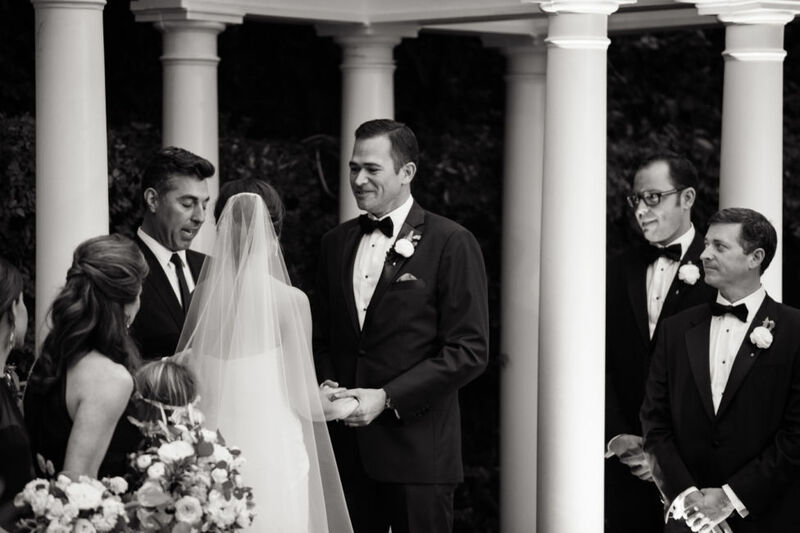 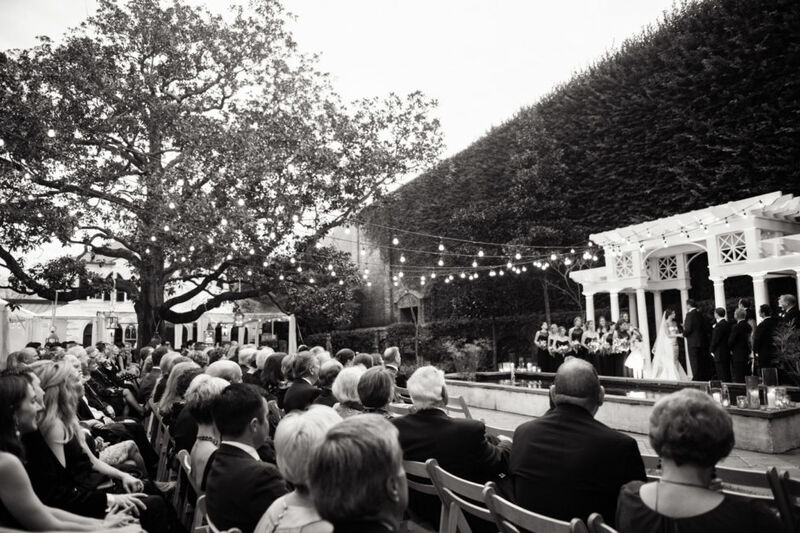 The wedding ceremony and reception was held on December 31st, 2015 at The William Aiken House in downtown Charleston, and executed by the talented Margaret Roberts of WED. Meghan and David were excited to show their friends true southern hospitality and give them a chance to visit the beautiful Lowcountry. 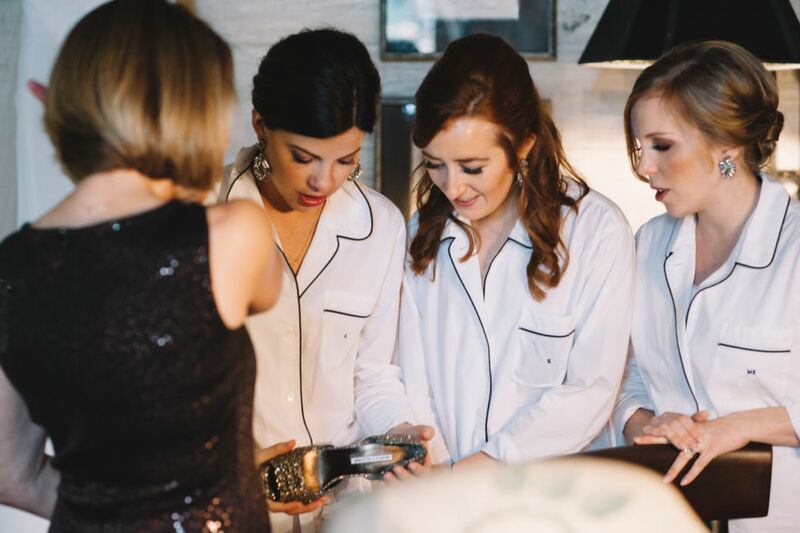 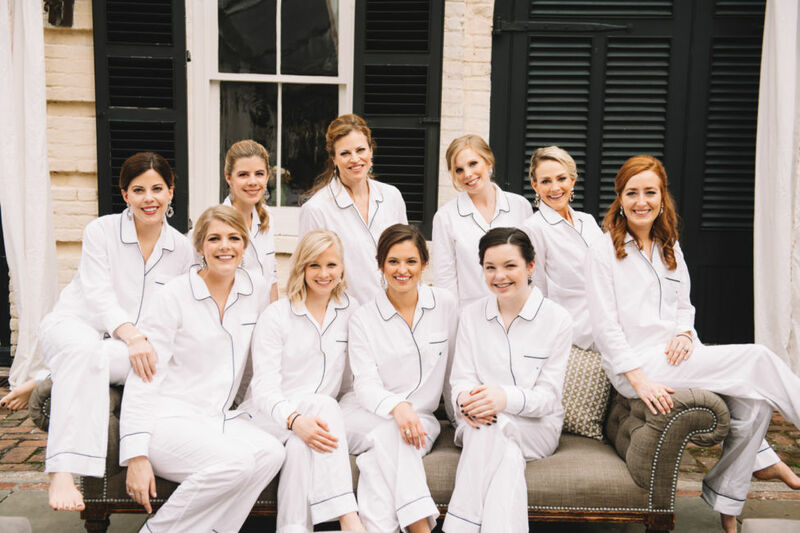 The bride gave her bridesmaids a soft white pajama set for relaxing plus a 2016 calendar with earrings. 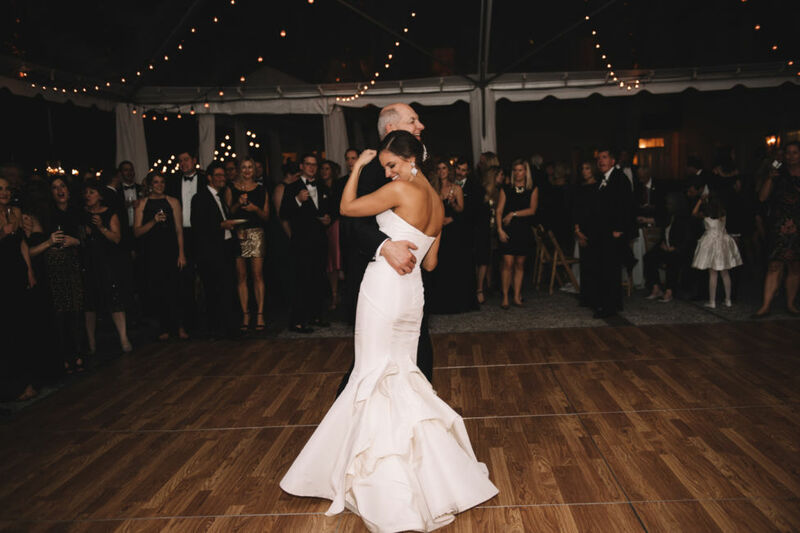 Meghan’s ivory silk faille structured trumpet gown fit her perfectly. 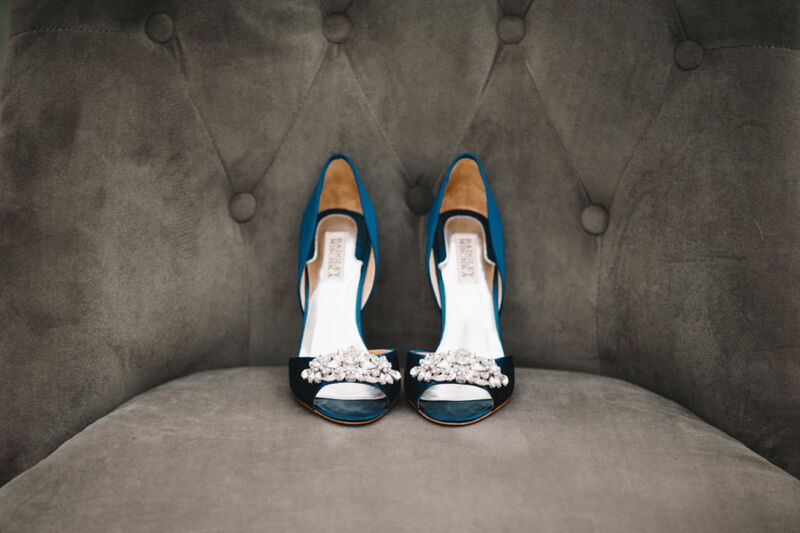 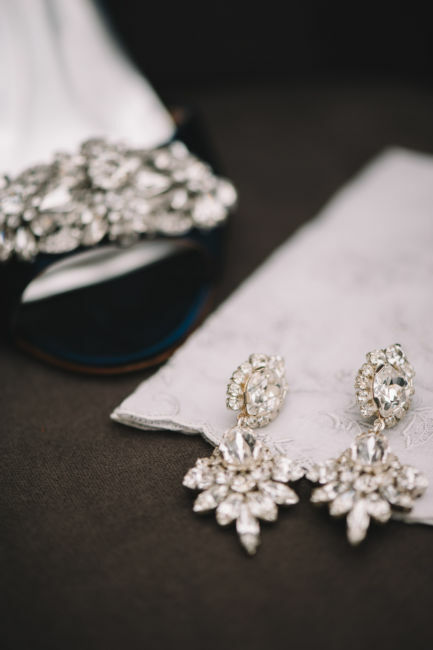 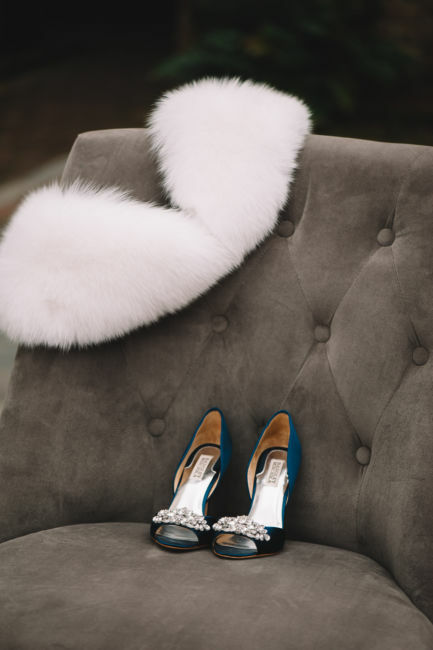 Her accessories from the sparkling chandelier earrings, her opal ring (surprise gift from David), “Kentucky” blue heels as a nod to her native Lexington, to the sapphire ring from her paternal grandfather each lent extra meaning to the occasion. 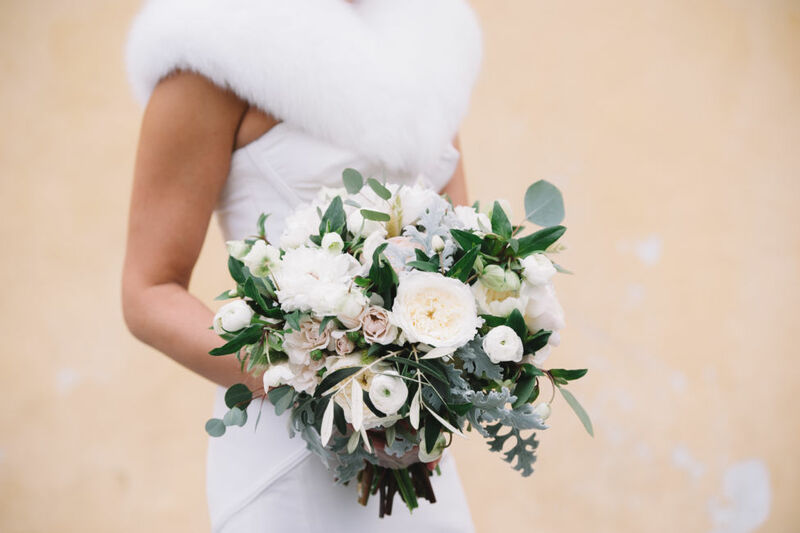 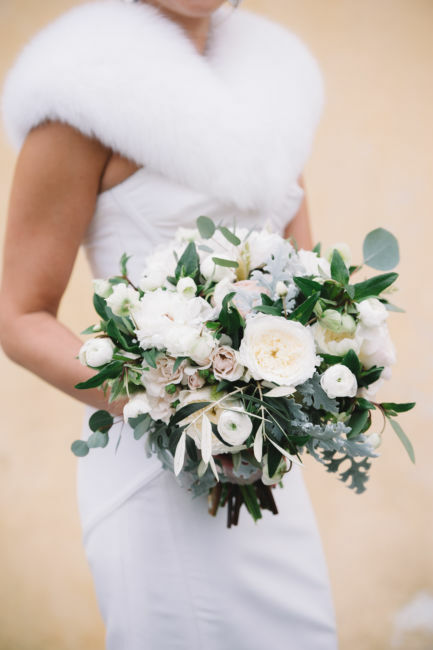 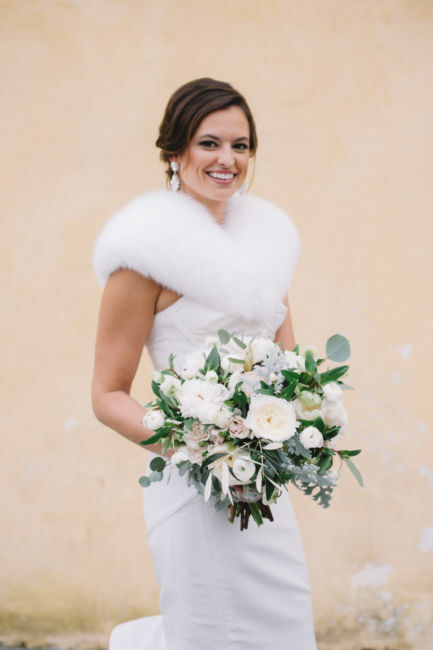 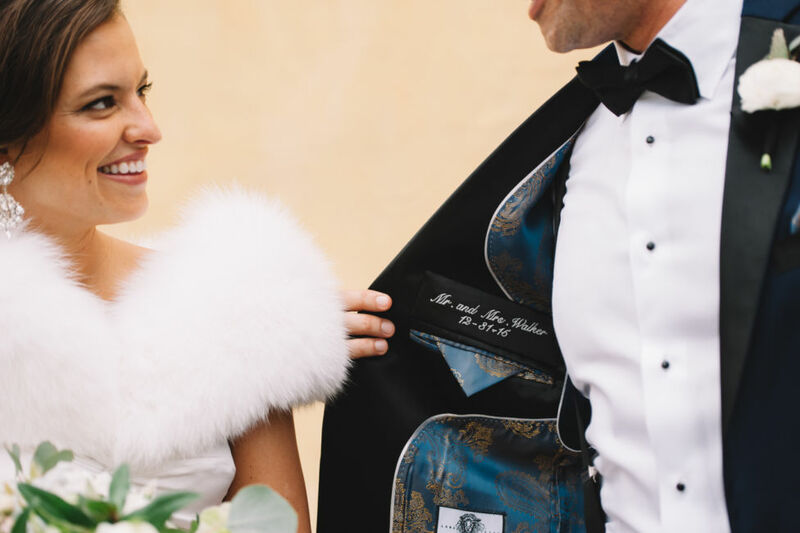 A white fur stole completed her bridal ensemble. 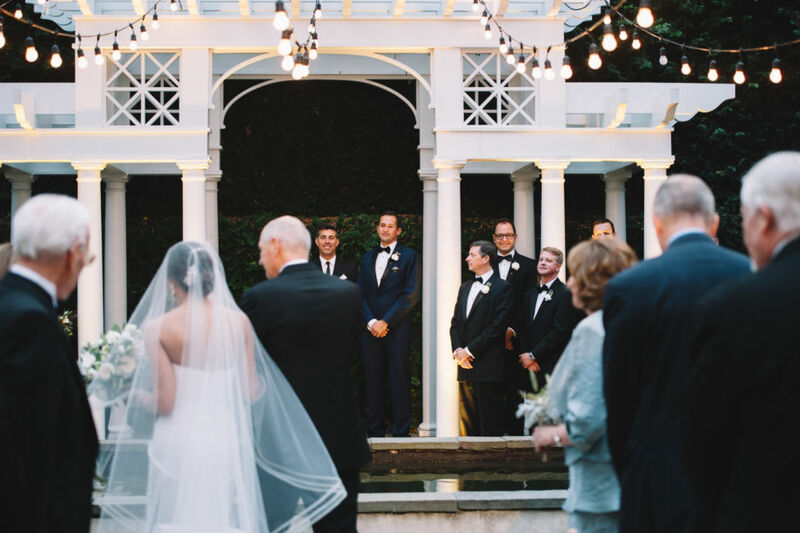 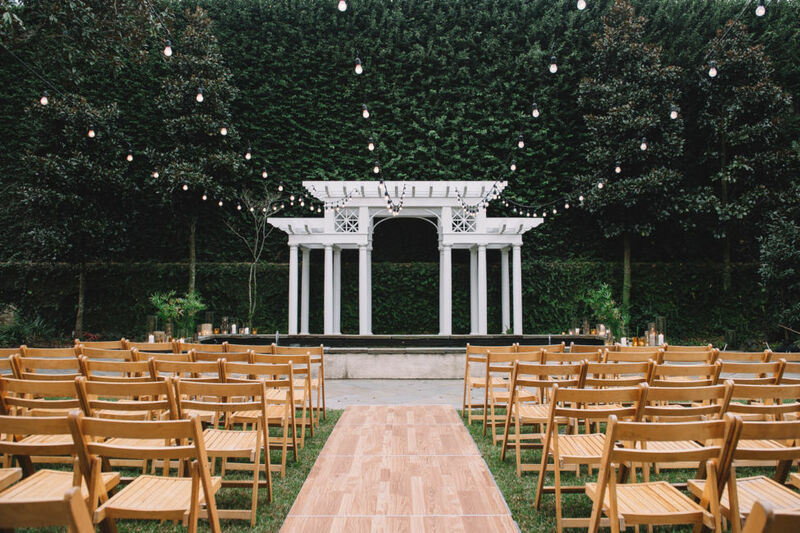 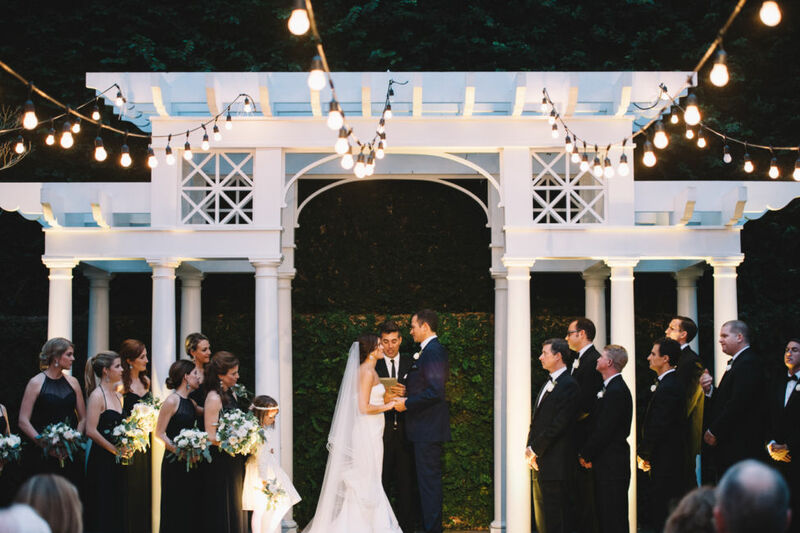 It was such a delightful moment to watch Meghan, happily and serenely walking down the aisle with her father to meet the man of her dreams patiently waiting under the pergola. 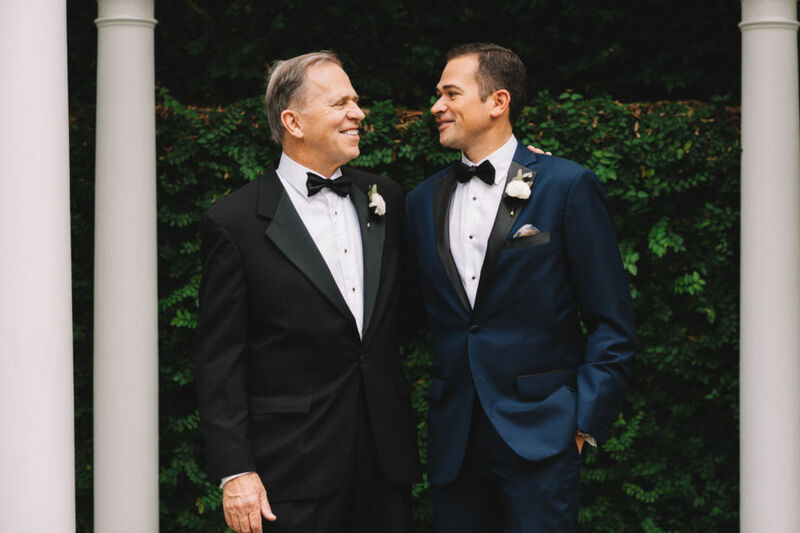 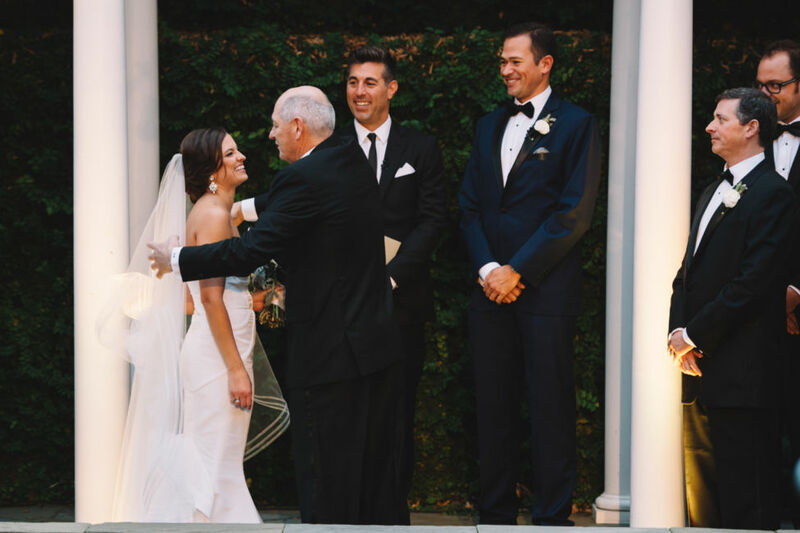 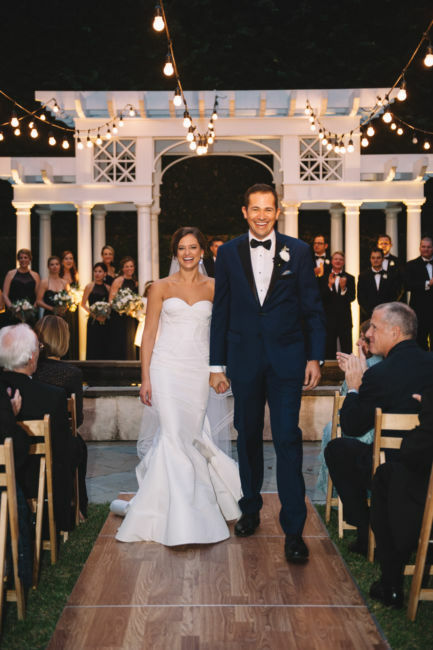 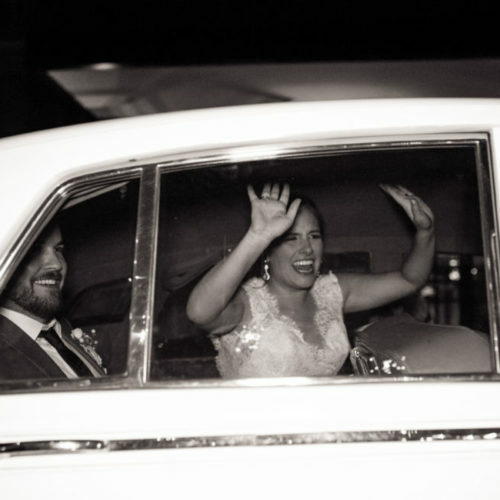 You could not wipe the smile off David’s face as the two were introduced as husband and wife. 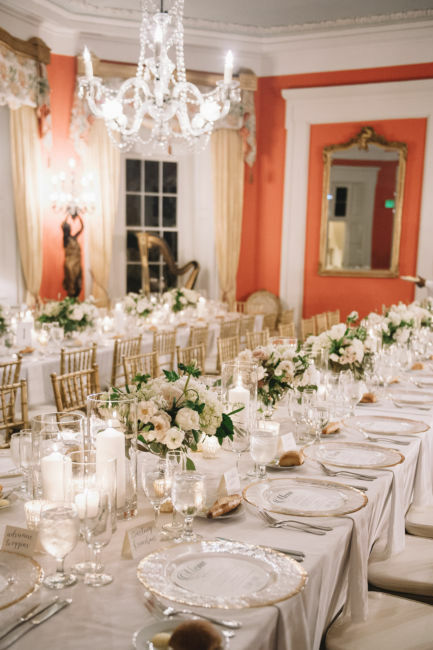 The reception dinner was held in the elegant red ballroom of the William Aiken house. 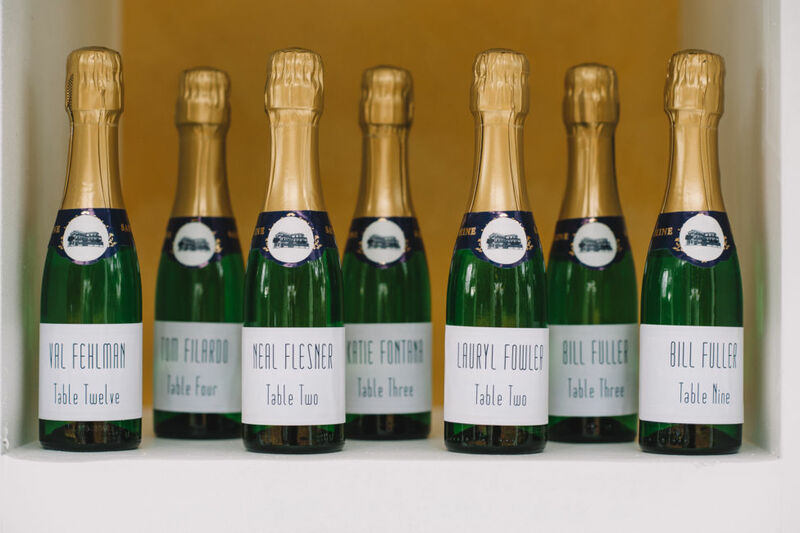 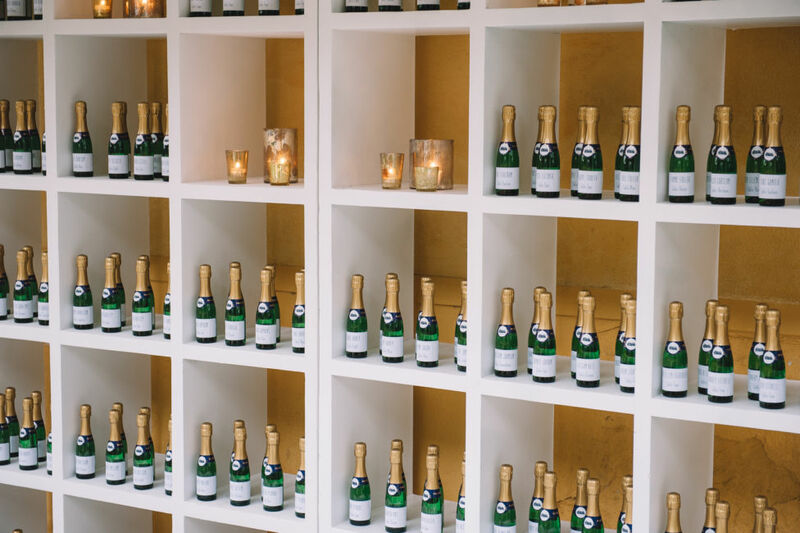 On shelves, the guests found their own personalized champagne bottle to show them to their assigned seat. 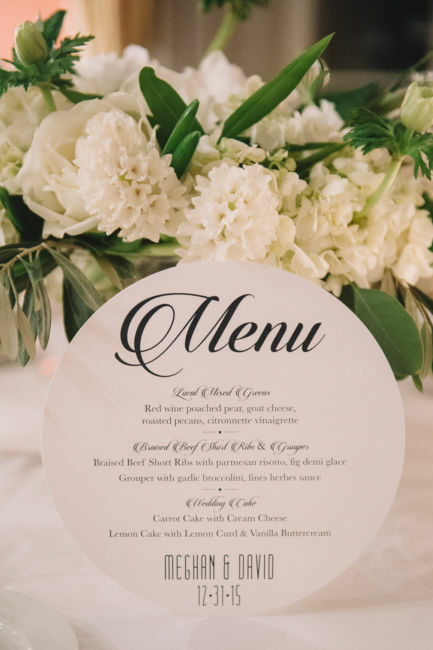 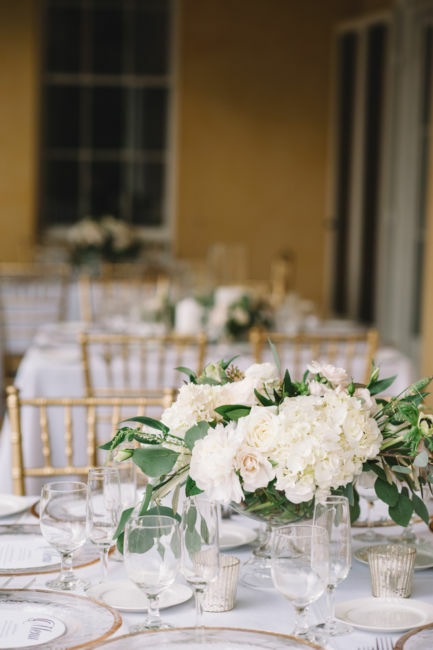 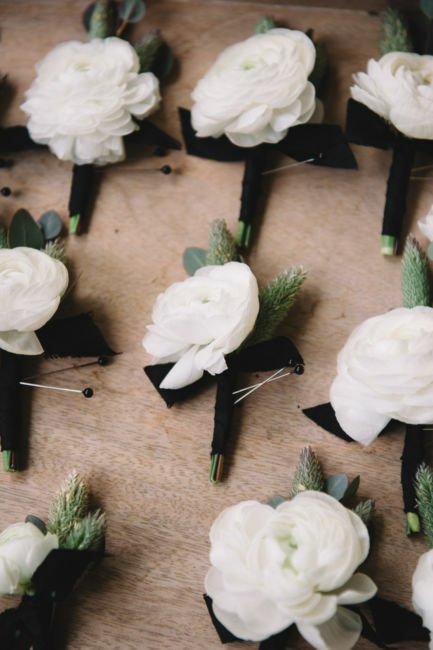 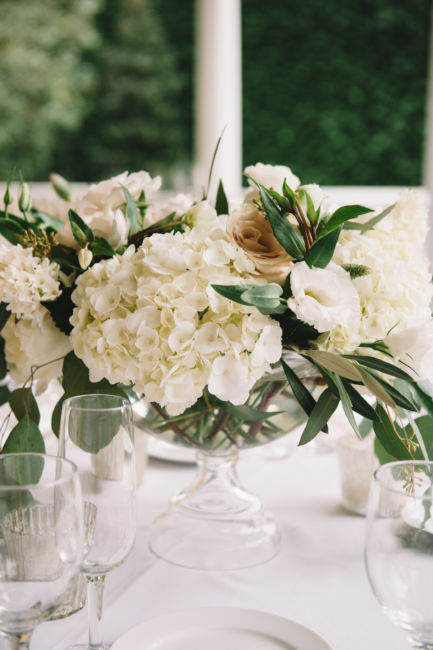 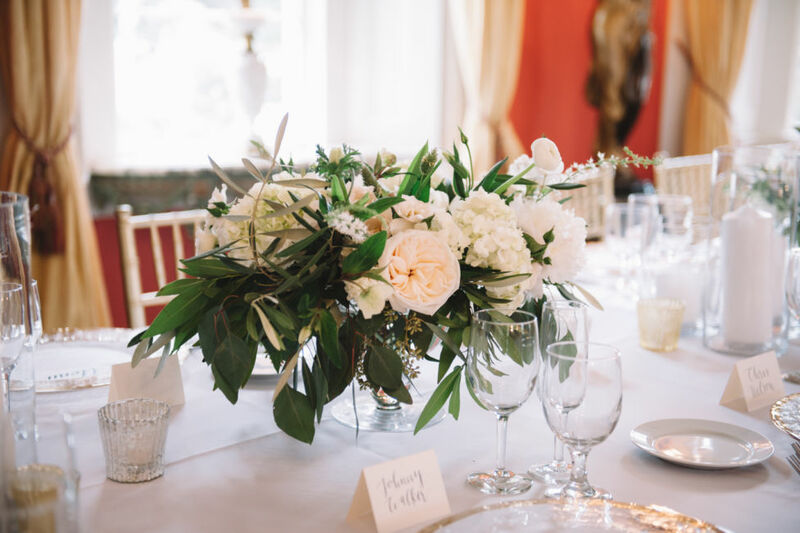 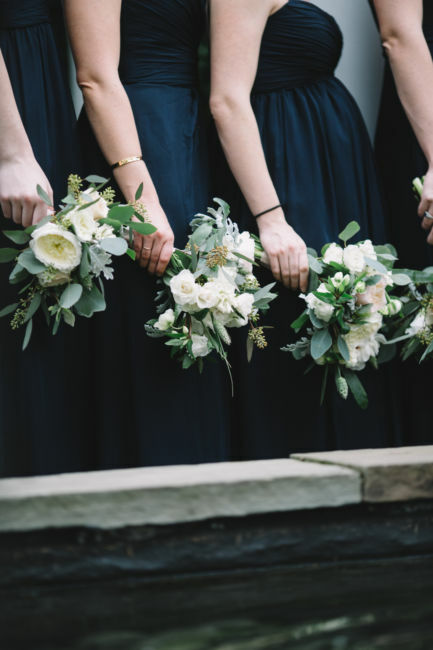 The tables were decorated with a trio of cylinder vases, gold and silver mercury votives and beautiful centerpieces filled with hydrangeas, seeded eucalyptus, peonies, garden roses, and white lisianthus. 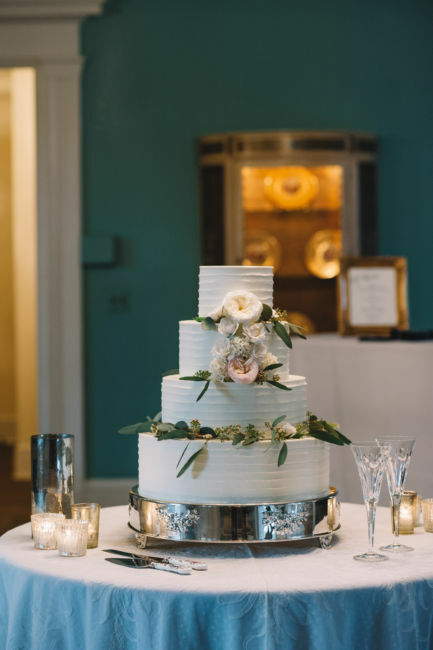 Meghan and David cut their 4-tier classic wedding cake decorated with fresh flowers using cake servers from England given by Meghan’s grandfather. 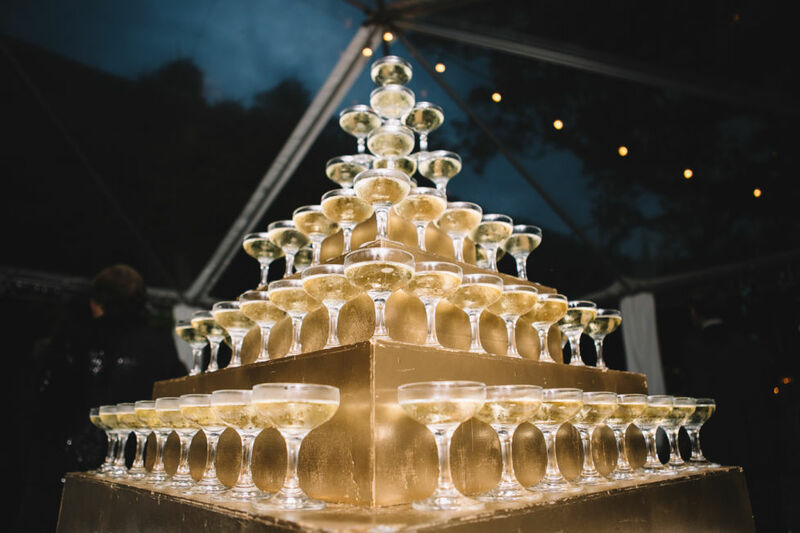 Once dinner was over the guests came back downstairs and into the clear tents for champagne toasting (the glasses were ready in a sparkling champagne tower! 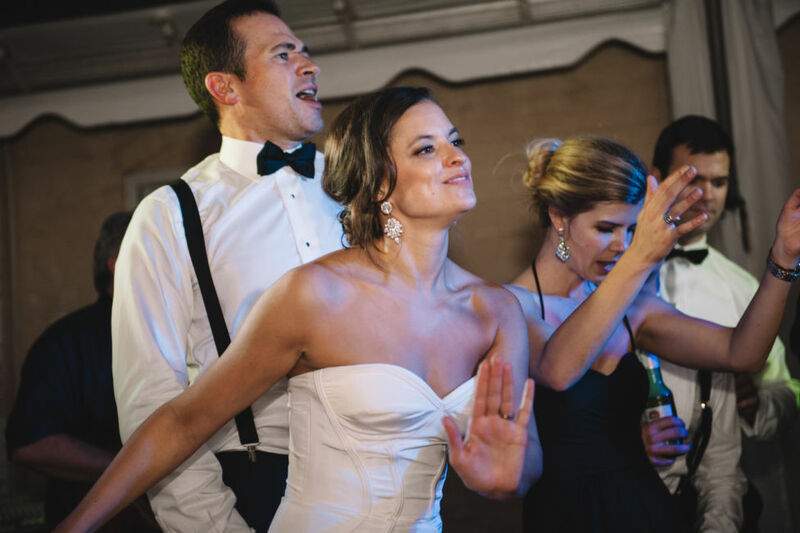 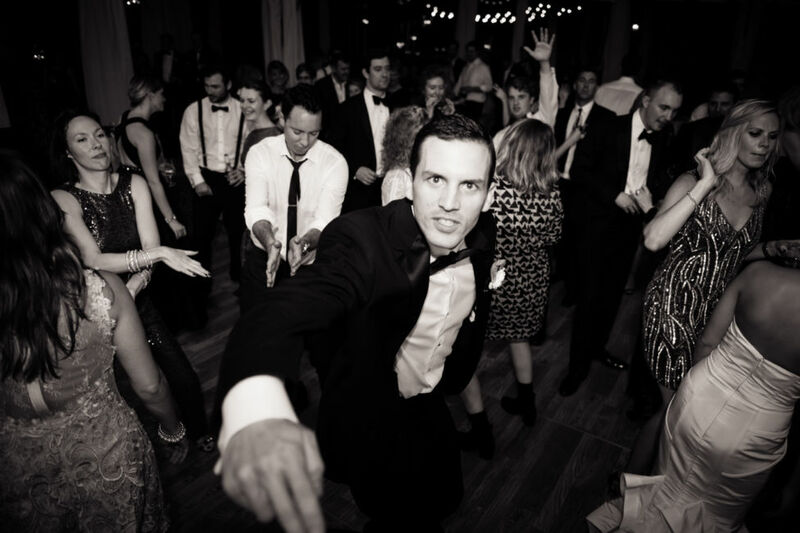 ), dancing and rocking out to RubberBand. 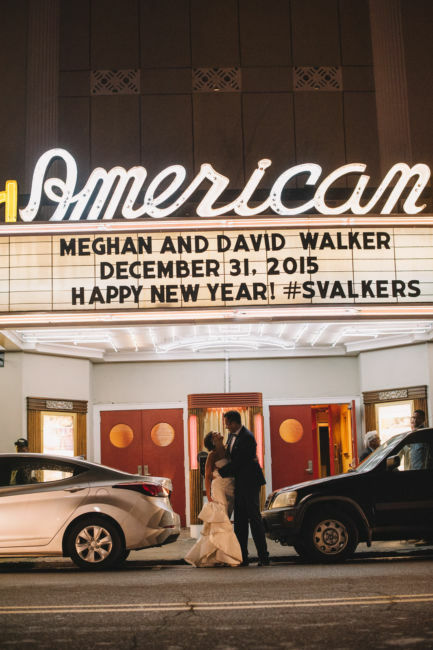 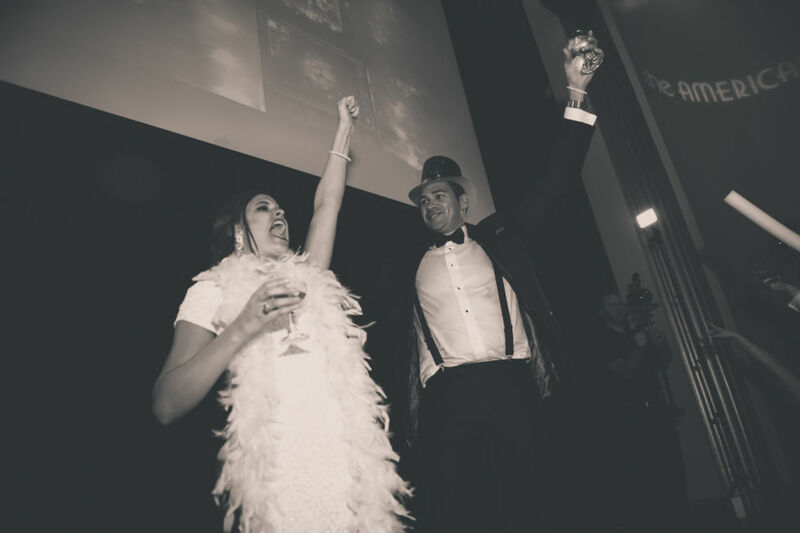 Meghan and David never shy away from having a good time and that is why everyone headed over to The American Theater for the grand after party! 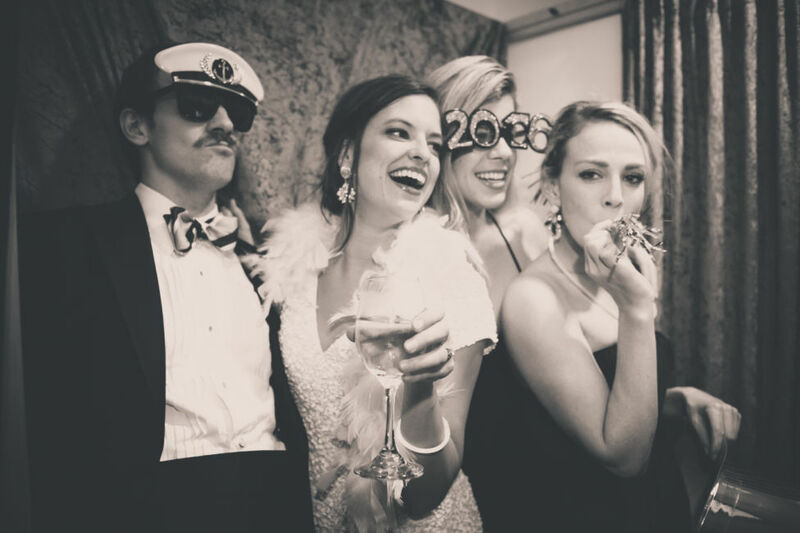 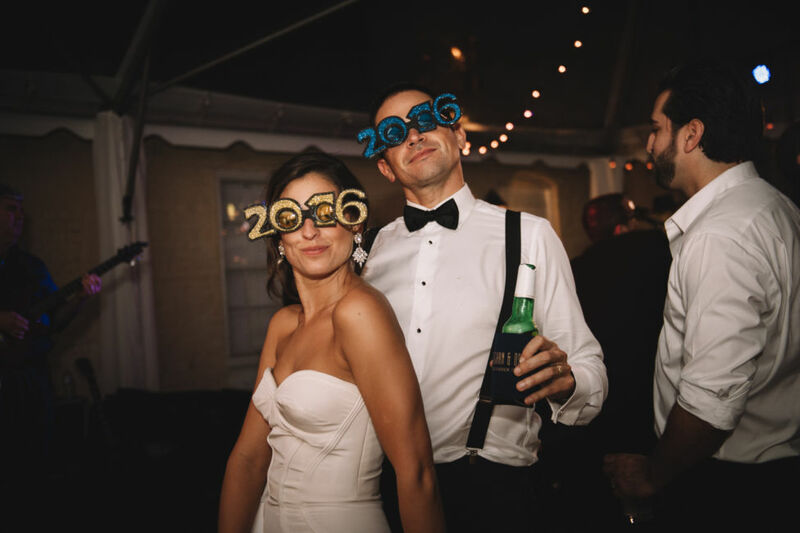 The couple gave away Happy New Year tiaras, top hats, 2016 glasses and horns for all their guests to ring in 2016 with! 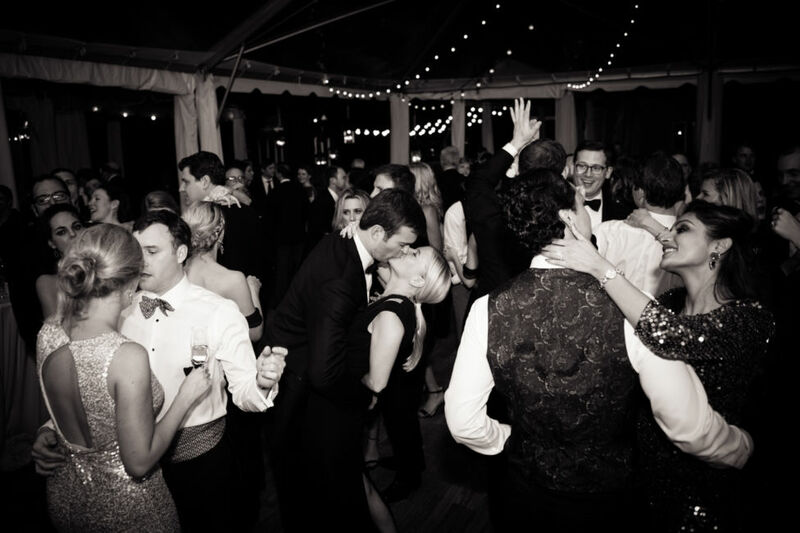 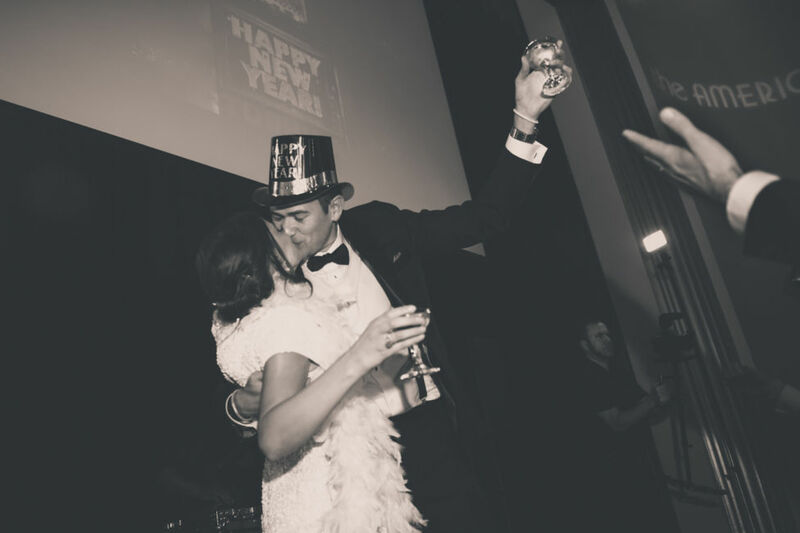 As the clock struck midnight David kissed his gorgeous wife, raised his glass and the crowd cheered with happiness. 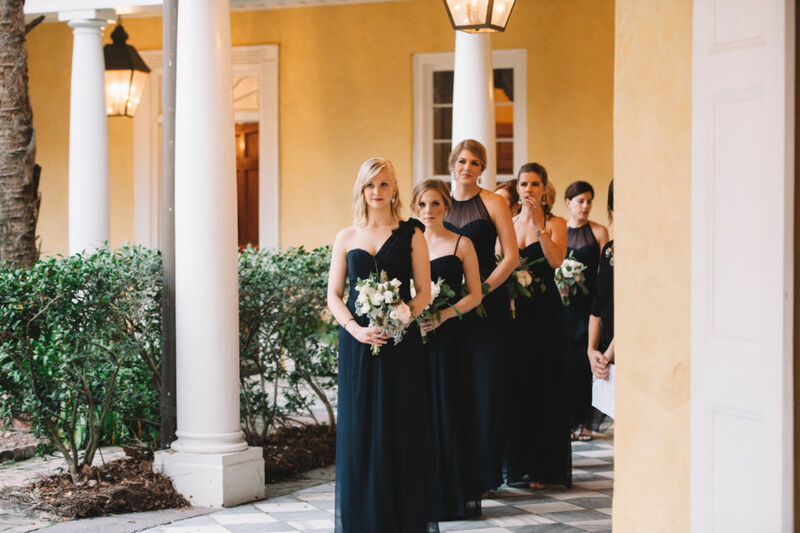 No one wanted to leave but, all good things must come to an end. 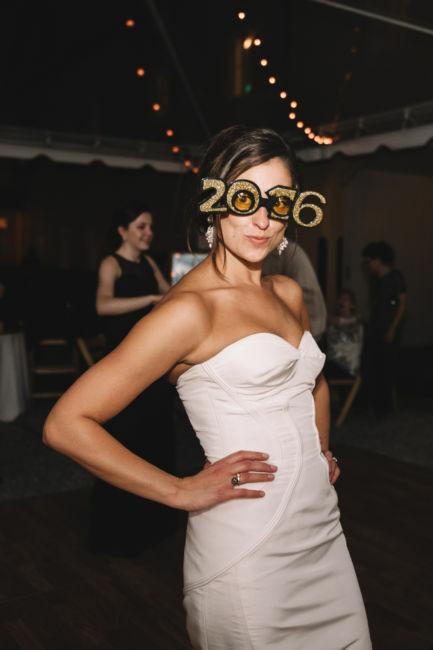 Thanks to my great friend Jen Smith for celebrating NYE with me as my second shooter! 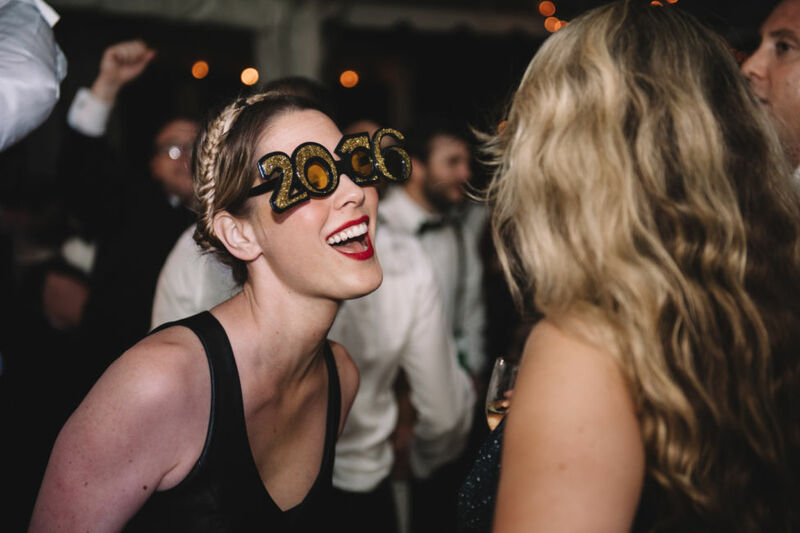 Thanks girl!